What’s the most expensive destination for a U.S. business traveler? You might think it’s some pricey overseas city like Tokyo or Geneva or Paris. Nope – not even close. 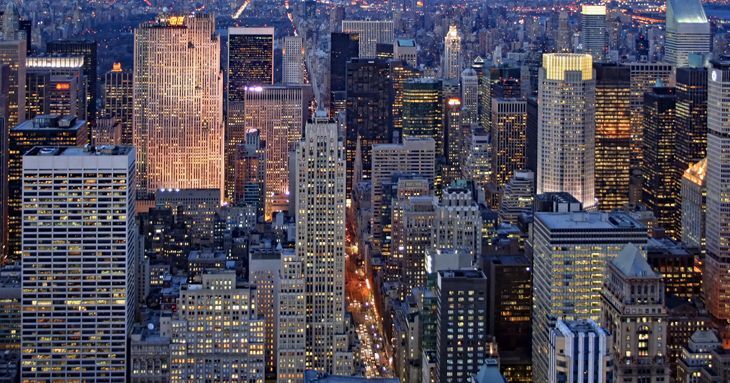 The most expensive business destinations are right here in the USA. That’s according to an extensive new ranking of daily business travel costs compiled by the trade publication Business Travel News, using data from actual January-November 2016 bookings provided by the global corporate travel management company BCD Travel. The study looked at average daily spending for a hotel, rental car and meals at scores of cities in the U.S. and abroad. And the most expensive of all those destinations was New York City, with average daily spending of $549 – an increase of 5 percent year-over-year. San Francisco ranked second, at $534, followed by Boston at $510. Three of the five most expensive foreign business destinations were in Switzerland; in addition to Zurich, they included Basel at $442 a day and Geneva at $432. And in the U.S., four of the 10 most expensive cities were in California. Besides San Francisco, they included Los Angeles ($419), San Jose ($418), and Santa Barbara ($395). 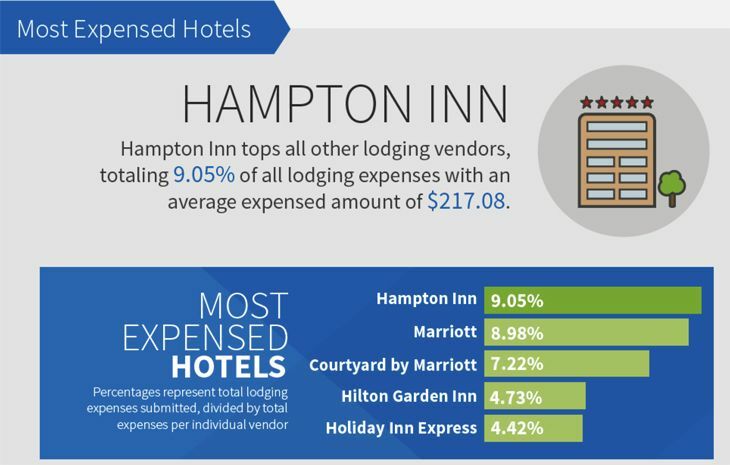 Hotel rates accounted for the biggest difference in costs. The average daily cost of a business hotel stay in New York was $385, followed by $379 for San Francisco, $337 for Boston and $320 for Washington D.C., the fourth-place U.S. destination. By contrast, no hotel spending at foreign destinations exceeded $300 a day. 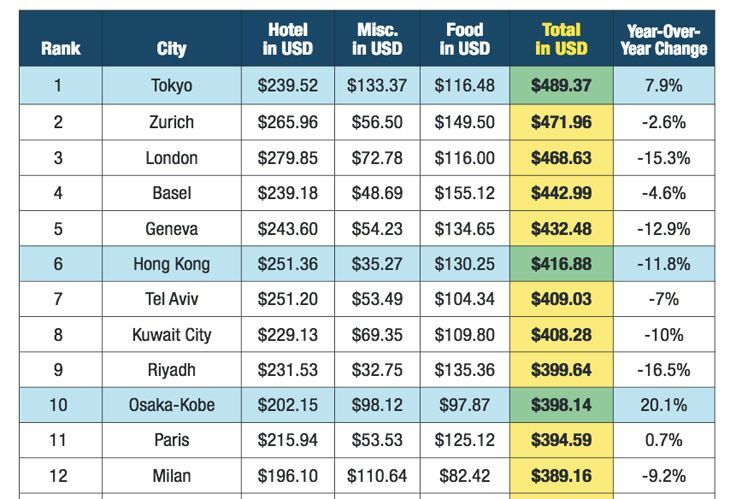 The average hotel spend was $239 in Tokyo, $265 in Zurich and $279 in London. 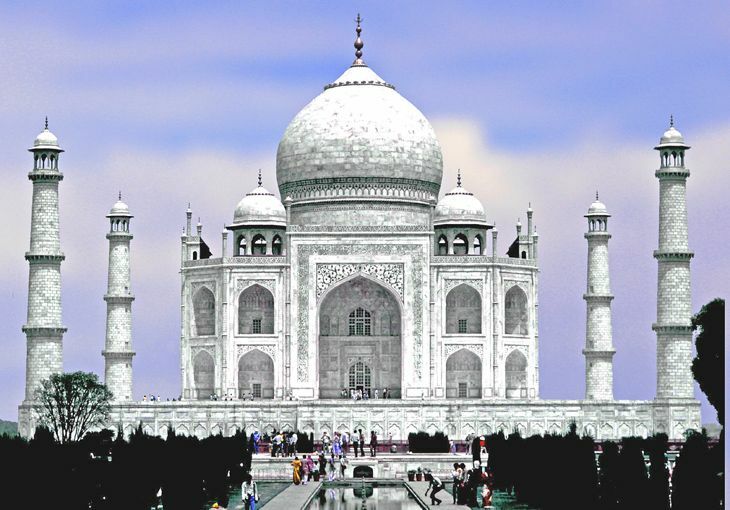 Readers: Which U.S. and foreign cities have you found to be the most expensive in your travels? How do you keep costs down on business trips? Reassessing your card strategy? See our “Credit Card Deals” tab to shop around! It helps us help you! You’d think that as the Thanksgiving holidays approach, business travel would slow down. And during Thanksgiving week it does. But the week before Thanksgiving, you’ll see the year’s biggest crowds of business travelers, according to a new report. Of course, the Wednesday before Thanksgiving and the Sunday after are some the busiest days overall, but most of that traffic is from leisure travelers. But there’s significant surge among business travelers that week before: The company said the number of business travelers on the road during those days is 58 percent higher than on the average weekday. Also, the bulk of travelers during those two busiest days are infrequent business travelers, Concur said, who take only one to three business trips a year. 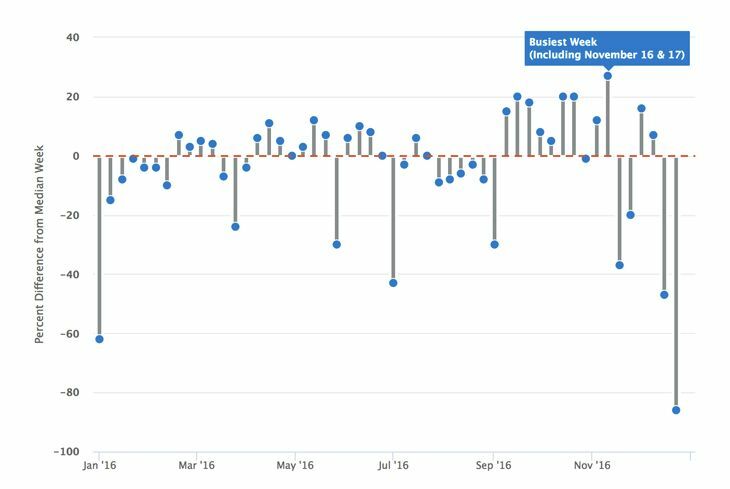 By contrast, the weeks with the highest above-average levels of business trips came from early September through early November. Looking at full months rather than weeks, July was the slowest month for company trips, while October and November were the busiest. And where are road warriors going during their busy season? During the busiest travel dates, Concur said, the busiest domestic air travel routes, in order, are Chicago-New York, New York-Los Angeles, Dallas-Chicago, New York-San Francisco and Boston-New York. The busiest international routes are New York-London, San Francisco-London, Toronto-New York, Toronto-Chicago and Boston-London. The earlier in November you travel, the better. So start planning your pre-holiday travel now. If meetings and clients allow, shift your travel days to Mondays, Tuesdays or Fridays. Consider alternate local airports beyond the traditional major hubs. Avoid costly last-minute fares by booking between eight to 14 days in advance. After that, prices tend to jump 44%. Where will YOU be this Thanksgiving? Which days will you avoid? Please leave your comments below. UPDATE #2 Noon PT May 30: Regarding the Politico report above: A DHS spokesperson says that story is “absolutely wrong,” and that DHS Secretary John Kelly “made it clear that an expansion (of the ban) is still on the table.” Here’s the latest, as reported by USA Today. Worried about the Department of Homeland Security’s much-discussed plans to expand its ban on in-cabin laptops and tablets to inbound flights from Europe? Well, now you’ve got a whole lot more to worry about. Appearing on Fox News this past weekend, Homeland Security Secretary John Kelly said he is now thinking about possibly extending the ban to all international flights in and out of the U.S. Meanwhile, there could be some hope on the technological horizon that improved screening devices might eventually make such a ban unnecessary. Currently, the U.S. ban on in-cabin laptops and tablets only applies to inbound non-stop flights from 10 airports in the Middle East and North Africa. DHS was said to be on the verge of extending the ban to inbound flights from Europe earlier this month, but that plan was put on hold – at least temporarily – as the U.S. carries on discussions with European security officials about the wisdom and necessity of such an action. When the discussion was limited to a ban on in-cabin electronic devices aboard flights from Europe, the aviation and business travel industries were predicting “havoc” for transatlantic travel, with business travelers staying home, and airlines losing money and trimming routes. That chorus of complaints from both sides of the Atlantic about the impact of a ban seemed to have worked- and kept it at bay– until Kelly’s remarks on Sunday. An expansion of the ban to all international flights would increase those concerns by many orders of magnitude and would lead to wholesale changes in the way people travel. 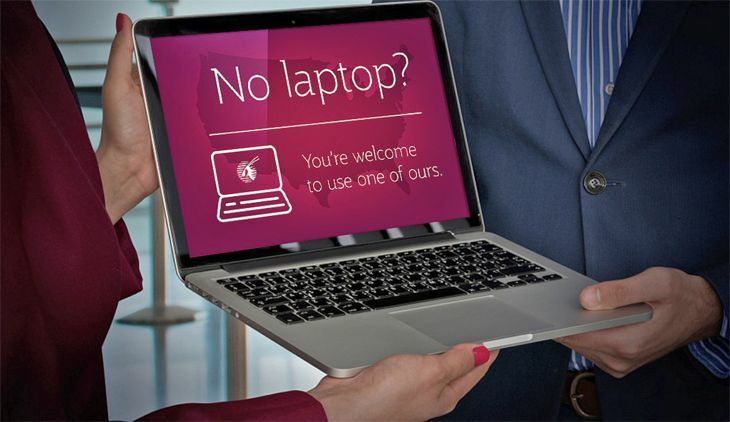 A passenger survey conducted in 2016 found that 38 percent of international travelers worldwide carry a laptop onboard, and 42 percent of those with a laptop use it during the flight. For tablets, the comparable numbers were 43 percent who carry one on, and 70 percent of those use one in-flight. 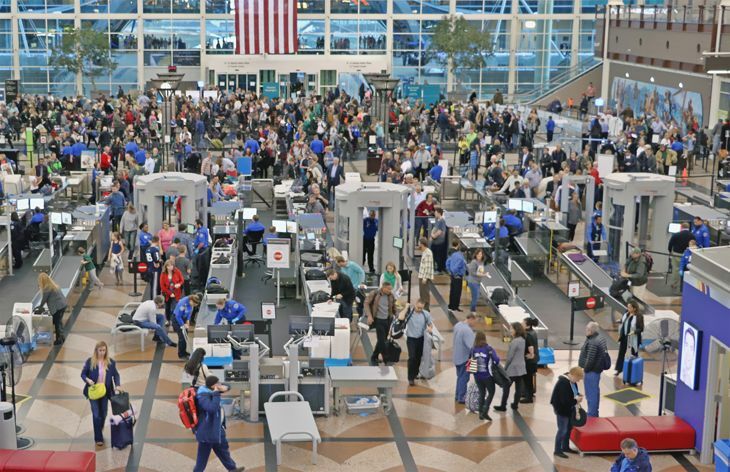 Meanwhile, manufacturers of airport security screening devices say technology has improved so much in recent years that a new generation of scanning machines could easily detect explosive materials in carry-on laptops and liquids, according to Bloomberg News. But that might not bring an easy solution to DHS’s immediate concerns. For one thing, it would take a long time to manufacture and deploy the next-generation scanners to airports in the U.S. and abroad. For another, Congress would have to approve funding for the purchase and installation of such equipment, which could cost an estimated $1 billion. Do you think a laptop ban is imminent? How will it change the way you travel? Please leave your comments below. Love or hate your company’s travel policy? Does your company impose harsh restrictions on your travel bookings and spending in the interest of saving money? A new study suggests that approach could be costing more than it saves. The stresses imposed on road warriors by strict company travel policies can result in employees who are disgruntled, less productive, less healthy, and more inclined to seek employment elsewhere according to a new report from the Airlines Reporting Corporation, which processes ticket payments from travel agencies. The survey of 750 business travelers contrasted the experience of working for companies with “cost-focused” travel policies vs. those with “traveler-focused” programs – i.e., policies aimed at keeping travelers productive and satisfied. Concentrating on strict cost controls often results in what the report calls ‘travel friction” – i.e., needless frustrations and aggravations on the road that contribute to less effective business results. Examples: requiring travelers to book a less expensive connecting flight when non-stops are available; prohibiting business class bookings on long-haul flights; and limiting hotel choices. For example, 82 percent of the travelers in cost-focused programs said they sleep much better at home than on the road; only 53 percent of those with traveler-focused programs said so. Likewise, three-fourths of cost-focused travelers said it’s hard for them to maintain a healthy lifestyle when traveling, vs. just 32 percent in the traveler-focused group. Two-thirds of the cost-focused travelers said they sometimes get sick or need time off due to their heavy travel schedules; the comparable rate for traveler-focused programs was just 29 percent. Asked what portion of their trips they considered to be worthwhile from a business standpoint, those in traveler-focused programs cited 82 percent, on average, vs. 60 percent for those in cost-focused programs. You can see the full report here. Perhaps most tellingly, three-fourths of the cost-focused travelers said they hoped to be traveling less two years from now; only 35 percent of those in traveler-focused programs said the same. The report suggested that the biggest drawback of focusing on strict cost controls for travelers is that it can motivate some of a company’s most valuable employees to leave – and replacing them can be extremely expensive. Readers: Do you work for a company with a travel policy that is cost focused, or traveler focused? Love it or hate it? Please leave your comments below. First Airbnb teamed up with Delta, Virgin America and Qantas to help its renters earn airline miles or points for their stays. It has also been increasing the number of “business travel ready” rental accommodations in its database. An now the room-sharing giant is making it easier for road warriors to find them. The company said it has developed a new filter for property searches so that only the business-travel-ready listings appear in the results. Those are accommodations that feature Wi-Fi, self-check-in, and “laptop friendly workspaces,” for instance. The new feature also permits instant bookings for listed properties – i.e., the user doesn’t have to wait for the host to get back to them. The new search capability is available for both desktop and mobile searches. To access it, users must link their work email address to their account. Users can register as business travelers and find out more the company’s business-ready properties at www.airbnb.com/business-travel. Airbnb said that although it started out as a service for leisure travelers, it has been making significant inroads into the business travel market, which now accounts for almost 10 percent of its bookings. The number of “business travel ready” accommodations in its database is now more than 150,000 worldwide. 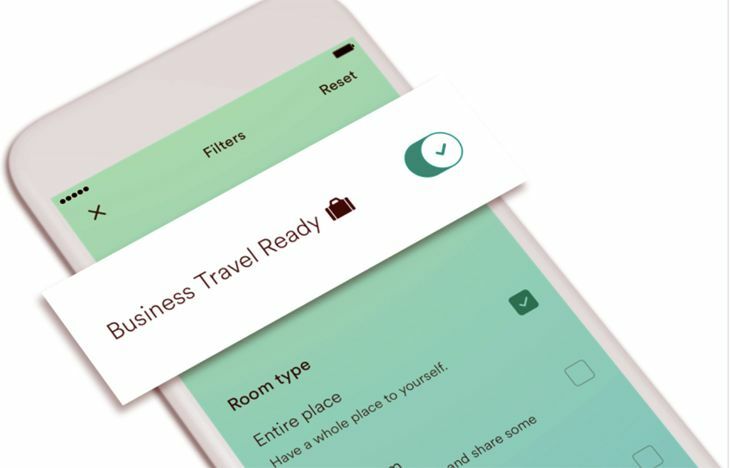 Last year, the company came out with a third-party booking tool so that company travel departments can book and change reservations for employees and contact the property host for details. It also took steps to integrate its systems with travel management companies, and introduced “business friendly receipts” to streamline expensing of trips. Delta SkyMiles members earn one mile per dollar spent on qualifying stays (not counting taxes and fees) when they book Airbnb accommodations through a link on the Delta website. The new Delta connection came just a few weeks after Airbnb forged a similar link with Qantas’ loyalty program. That one also earns one point per dollar spent, and also requires booking through the Qantas website. Virgin America has had a similar loyalty program link with Airbnb (but the fine print says that it’s only good through June 30 of this year. United added it to its MileagePlus X smartphone app last year, but regrettably disabled it in November. American Express Membership Rewards members can also redeem points for Airbnb stays. “Stay on the lookout for more from us in 2017 – from integrating with corporate travel booking tools, making it easier to rebook the business travel ready listing you absolutely loved, to offering easier access to amenities like gyms and co-working spaces,” the company said. Does this new search feature make it more likely that you’ll try Airbnb for business travel… or if you are already a regular user, will you use it more? What’s your overall experience or impression of it? Should you ever book a Basic Economy fare? American and United this week joined Delta in starting to sell the new Basic Economy fare category, so might be time to refresh yourself on the specifics of the fares and consider whether they would ever be appropriate for a business trip. The rollout at United and American will be gradual. 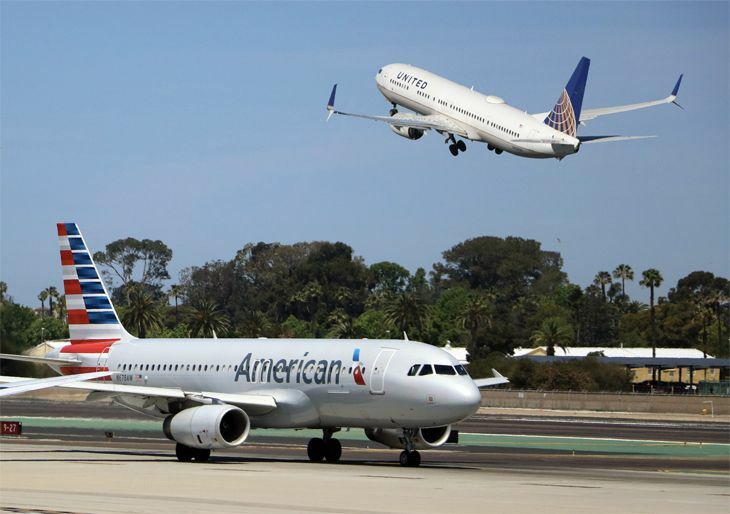 United this week started selling the new fares on routes linking Minneapolis-St. Paul with its hubs at Chicago O’Hare, Denver, Houston Bush Intercontinental, Los Angeles, Newark, San Francisco and Washington Dulles. American is selling the fares for travel starting March 1 on routes linking Philadelphia with Charlotte, Dallas/Ft. Worth, Ft. Lauderdale, Miami and New Orleans, as well as Charlotte-Orlando, DFW-Baltimore-Washington, DFW-Tampa, Miami-Tampa and Miami-New Orleans. Both airlines will expand the availability of the fares in the months to come. Probably the biggest drawback of the fares for business travelers is their inflexibility: Once you’ve bought one, you can’t make any ticket changes and you can’t get a refund if you don’t make the trip. You will also be in the last boarding group, and you can’t book a seat in advance. But preferred customers – i.e., loyalty program elites and holders of the airline’s affinity credit cards – can get a break on a couple of restrictions. They can stow a carry-on bag in the overhead, and they can still benefit from preferred boarding. In-flight service will be the same for all passengers in the economy cabin (Delta said its announcement of free meals in coach on transcontinental routes will even be offered to Basic Economy passengers), but even elite status will not let you get an upgrade – complimentary or paid – when you’re on a Basic Economy fare. Rules vary for mileage credits earned with Basic Economy fares. On Delta, they’ll still earn Medallion Qualification Miles and Dollars at 100 percent of distance flown. On American, AAdvantage members earn award miles and Elite Qualifying Dollars based on the ticket price, but Elite Qualifying Miles and Segments are earned at a reduced rate of 0.5 per mile/flight segment. United MileagePlus members will earn award miles, but not Premier qualifying miles, segments or dollars. You can click on the links above for specifics of United’s and American’s Basic Economy restrictions. And here’s a link to Delta’s. So should a business traveler book a basic economy fare? Yes, maybe for a shorter trip like San Francisco to Phoenix or Atlanta to Ft Lauderdale. But when a good seat, overhead bin space and full mileage are wanted, best to steer clear. The difference in fares is likely not enough to make it worthwhile. Don’t miss out! Join the 200,000+ people who read TravelSkills every month! Sign up here for one email-per-day updates! Even though President Donald Trump’s order banning travel to the U.S. from seven Muslim-majority nations was temporarily blocked again this week by a federal appeals court, an influential travel organization says international corporate travel will continue to suffer regardless of the outcome of the ongoing court battle. The Global Business Travel Association this week released industry data gathered after the ban was introduced. It said that in the week after the ban’s sudden issuance, system-wide business travel transactions in the U.S. declined by 2.2 percent from the previous week, after showing a growth rate of 1.2 percent in the week before the ban. In that single week after the ban, some $185 million in business travel bookings were lost “as the uncertainty surrounding travel in general had a rippling effect on traveler confidence,” GBTA said. The organization noted that the President’s order “had a significant disproportionate effect on international travel,” which accounts for 12.7 percent of U.S. business travel. As long as the ban continues to be litigated, business travel will continue to suffer, GBTA said. On Friday, President Trump suggested that he has other plans or options in the works to protect the US from terrorism, but it remains to be seen how these moves might affect travel. If the courts uphold the ban and reinstates it, that “will clearly cause a rippling effect through the travel industry, ultimately hurting the economy,” GBTA said. “It also unleashes travel disruption like we saw when the order was first implemented,” resulting in the delay or cancellation of many business trips. 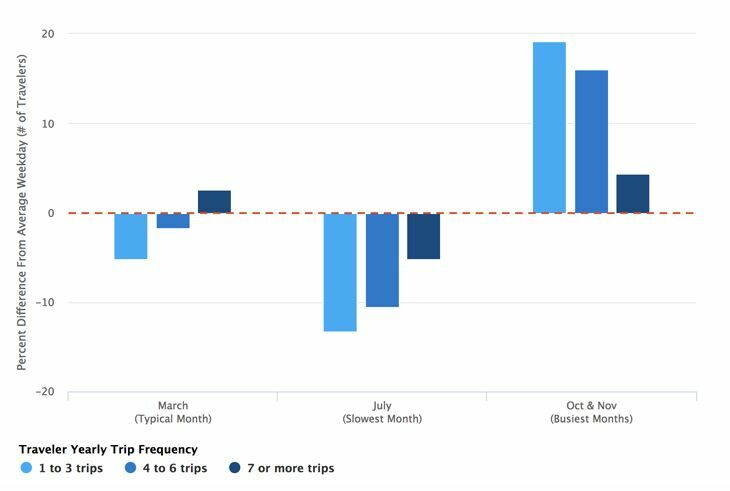 A new report on business travel expenses says Uber rides now account for more than half of all ground transportation spending, citing this as an example of a “transformational change” taking place among road warriors. 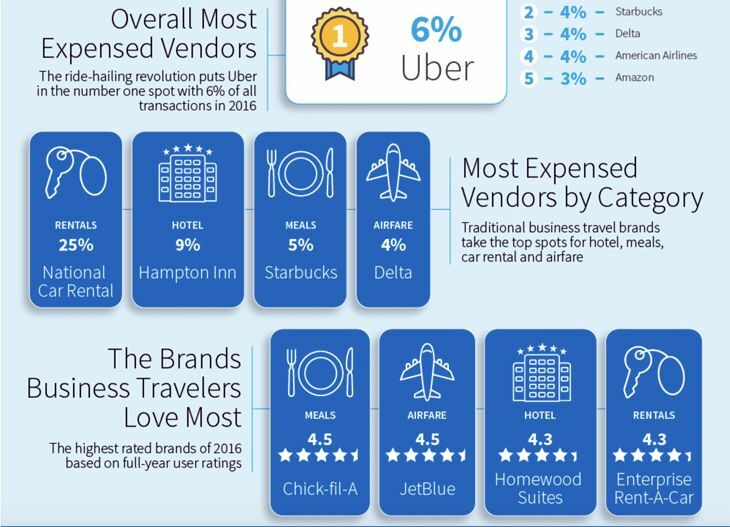 Certify, a leading provider of travel and entertainment expense management and reporting, has issued its annual report for business travel spending trends in 2016, and it found that a new company has vaulted into the top spot as the “most expensed vendor”—not an airline or a hotel chain, but ride-sharing giant Uber. The company said the “exploding popularity” of Uber among business travelers enabled the ride-sharing network to capture 6 percent of all receipts and expenses tracked by Certify last year. According to Certify, the Uber juggernaut among business travelers was “the biggest story of 2016.” It said that among various ground transportation alternatives – taxis, rental cars, Uber and Lyft – Uber accounted for 52 percent of all expensed spending in the fourth quarter of last year, while Lyft grabbed 4 percent. 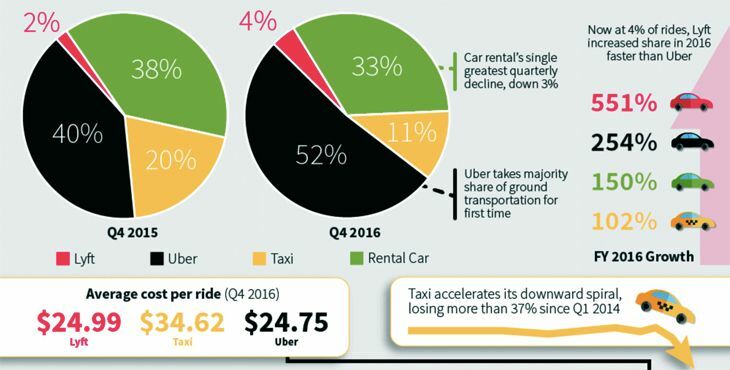 Comparing the fourth quarter of 2016 with the same period a year earlier, Certify said Uber’s share of the ground transportation segment jumped from 40 percent to 52 percent and Lyft’s from 2 percent to 4 percent, while the share for taxis plunged from 20 percent to 11 percent, and the share for rental cars dropped from 38 percent to 33 percent. Looking to the lodging segment, Certify saw a similar but smaller trend for Airbnb, which it describes as an “alternative hotelier.” While Airbnb hasn’t yet broken into the top 15 most-expensed lodging brands, it is moving up fast, doubling its share of business traveler transactions each year since 2014. The company’s analysis of spending covers more than 10 million receipts and expenses logged per quarter by travelers at Certify’s client companies, including business meals, air fare, hotels, gas, ground transportation and several other categories. Do you have the freedom to select your own travel suppliers on business trips – and are you flexible? Would you like like a $200 Amazon, Whole Foods or Home Depot gift card with your next travel booking? If so, you’re the target for for Upside, which officially rolls out this week. Below, I put it to the test for an upcoming trip to NYC– it found a slightly better deal that I could, and offered me a $200 gift card. Not bad! We also gave Upside a whirl on an Atlanta-Los Angeles trip and it really performed. (See below) Try it to see what it can do for you. Here’s some background: Upside was put together by a small group of former Priceline executives, including Priceline founder Jay Walker, and has been in beta since last fall. Walker told TravelSkills: “Most business travelers have a valuable, hidden asset that’s worth a small fortune on every trip they take. The asset? Flexibility. Specifically, small amounts of flexibility on the flights and hotels that a business traveler is willing to use on any given trip.” This week the company snagged a cool $50 million investment, and is now valued at about $200 million. Here’s how it works: Instead of booking your usual first-choice airline, flight time and hotel, you let the Upside website put together an air-hotel package using suppliers that you have pre-approved. Once you decide if the alternatives work, and if the discounts and gift cards offers are enticing enough, you book the trip. Upside says that you will typically see gift card amounts of $100 to $200, and savings of 5 to 15 percent in travel costs, and enough to make the $35 fee a wash. However, during the current launch period the $35 is waived. Users will be able to book their arrangements through the Upside app or its website; round-the-clock phone support is also available. There’s no requirement to buy the package Upside suggests, and once you do, it can be cancelled or changed quickly if circumstances warrant. 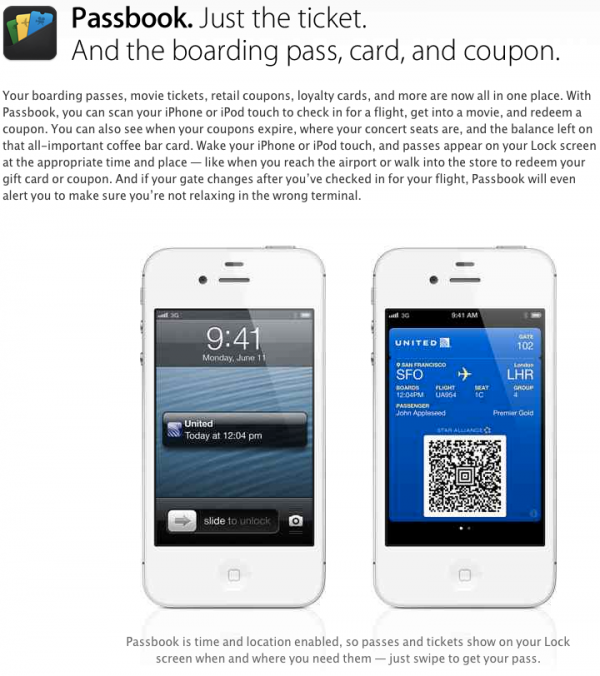 Upside says that users will earn airline frequent flyer miles for the flights it selects, but they will not earn hotel points. Important: While you will earn airline miles/segments, you will only ear elite qualifying miles/dollars when booking American or Alaska Air with Upside (for now, at least). UPDATE: Currently, Delta is not offered on Upside. Another important point: Upside purchases code as “travel” so you’ll earn credit card bonuses, such as the 3x points you get for Chase Sapphire Reserve or Barclaycard. So how will Upside make money? “We buy travel from suppliers at very advantageous rates– rates so low that we can pass along a substantial discount, take our cut and provide gift cards to travelers,” said a company spokesperson. Are you willing to give it a try? That’s the question Upside is waiting for you to answer, and they are dangling a nice carrot — a gift card — in front of travelers to get them to try. 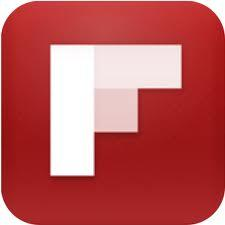 Updates: 1) The Upside app will roll out next month so for now just use the website, which works from smartphones. 2) Currently, Delta and Southwest Airlines do not work with Upside. 3) To change seat assignments, you must visit individual airline site after Upside reservation is completed. I tested Upside for a business trip I have to New York City in two weeks (Feb 1-3). I want to fly United to get my MileagePlus miles and premier access to economy plus seats, and I prefer to fly into Newark so I can take the train into the city and stay at a hotel near Penn Station. On the United website, I was able to find flights departing SFO on Wednesday morning and returning Friday evening from Newark. The fare was a great deal– just $237 round trip. For the hotel, I chose the new(ish) Best Western Premier Herald Square, where I’ve stayed many times before. 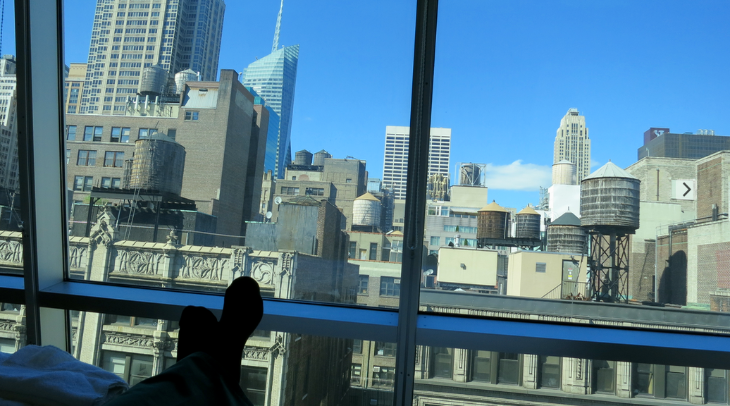 Rooms are small but clean and quiet, and I love the location near the Empire State Building. Rates on BestWestern.com were equally good at about $100 per night. The total bill for two nights, including room and tax came out to $236. So I’m looking at a total trip cost of just $473 booking on my own. Now let’s take a look at Upside. I was able to find the exact same United flights and Best Western hotel room. Upside’s price came in at $462.91, about the same as booking it on my own. BUT… I chose a $200 gift card from Whole Foods for booking via Upside. I’ll still earn my United Mileage Plus miles for the flight (but not PQMs). But I won’t get my Best Western Rewards points. Still, that $200 gift card makes booking this trip on Upside definitely worth it! Another test: Atlanta to Los Angeles Feb 14-17 with a 3-night hotel stay in Hollywood. Booking on Delta.com, we found convenient flights departing ATL in the morning, and returning from LAX in the late afternoon priced about $336 round trip. A room at the W hotel Hollywood booked on its website is $313 per night, and for three nights, to total bill including taxes is $1,120. So a total trip cost of $1,456. Booking the same trip on Upside resulted in decent savings–plus a nice $222 gift card. However, to get the great deal, I’d have to fly on American (nonstop) and stay at the Hollywood Roosevelt hotel instead of the W hotel for a total cost of $1,254.73- saving about $200. Plus, I get a gift card good for $222. Done deal! Take a spin through Upside and see what it can do for you… and report back your savings here! 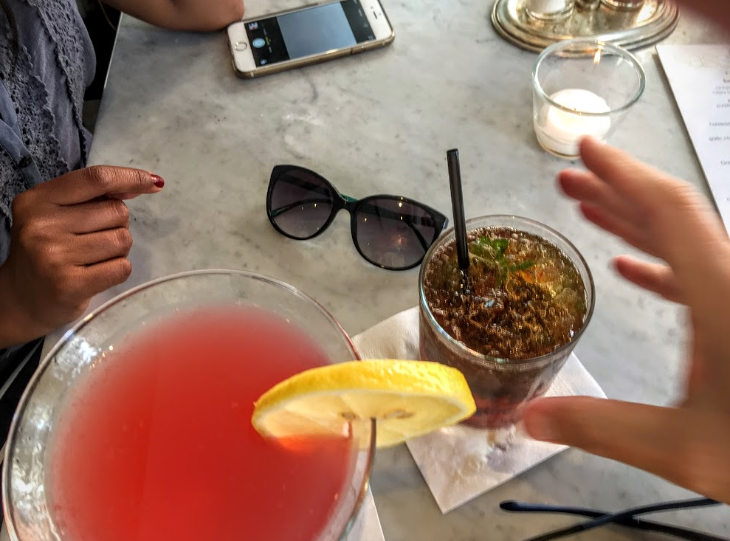 No matter how abstemious Americans may be at home, the prospect of going on a trip seems to loosen their inhibitions a bit – or a lot – when it comes to drinking. That’s according to a new survey from Cheapflights.com that asked 1,000 respondents about their drinking practices at airports and on the plane. As you might expect, the survey found that a traveler’s inclination to imbibe depends in part on where she’s from. According to the poll, 53 percent of those from western states and 51 percent from the east coast said they drink when they travel. By contrast, only 43 percent of Midwesterners said the same. TAKE OUR POLL BELOW! How do travelers spend time at the airport when they’re faced with a long layover? Just over one-third of the respondents said that situation will send them to the airport bar. And what do Americans drink when they travel? Forty-eight percent of men said they prefer beer, while women were divided between cocktails (28 percent) and wine (26 percent). The survey didn’t ask subjects exactly how much they pour back on their trips, but we’ve seen plenty of evidence from the evening news that overindulgence can be a big contributor to air rage, in-cabin misbehavior and even diverted flights. One in five of the men surveyed said that they had been intoxicated at the airport or on a plane, while 11 percent of women admitted the same. 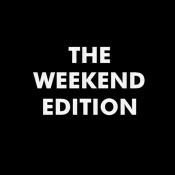 And it could be a hair of the dog situation 🙂 , but six percent of the respondents conceded that they have had their first drink before 8 a.m. during a trip (11 percent of men and 2 percent of women). I’m always surprised to see folks kicking back the vodkas on those early flights… but who am I to judge? What about you? Do you tend to drink more, less or about the same amount, or not at all? Please take our poll! Do you follow us on Twitter? It’s a great way to keep up with the latest news! Please join the 125,000+ people who read TravelSkills every month! Sign up here for one email-per-day updates! 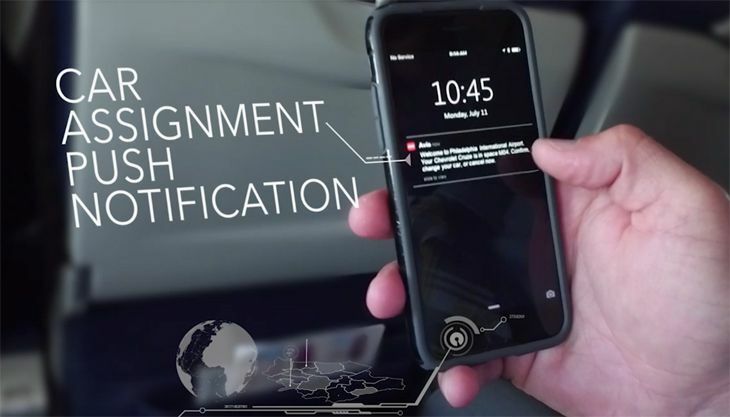 Business travel news this week includes an announcement from Avis about some customer-friendly enhancements to its mobile app; a summer expansion of enrollment centers for TSA PreCheck membership; and the outlook for business travel volume this year and next – and who has overtaken the U.S. as the busiest business travel market. 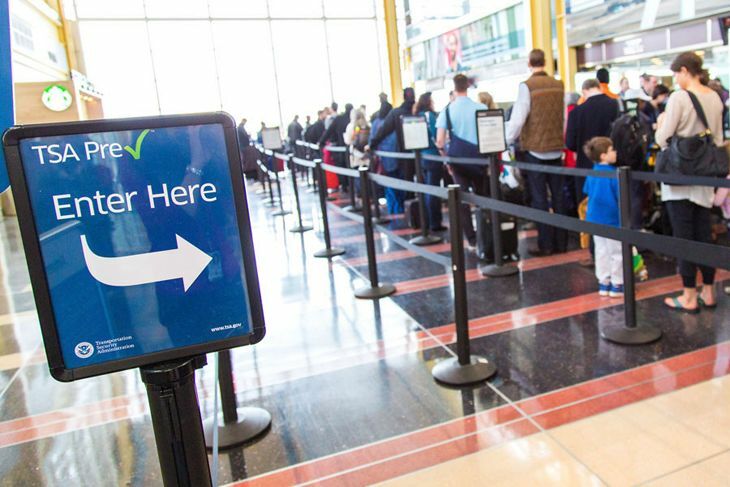 Faced with a growing backlog of applications for its PreCheck trusted traveler program, the Transportation Security Administration and the outside vendor that operates PreCheck enrollment centers are opening up a number of new, temporary opportunities for applicants this summer, from now through late August. The temporary enrollment centers will be at 14 locations in 13 major markets, and will mostly be open for only a few days at each one. You can see the full schedule of locations and dates here, along with a link to a site for applying online and getting an appointment for a personal visit. Is business travel in a slump? The Global Business Travel Association says it expects U.S. business travel spending to increase by a mere 0.9 percent this year, to $292.5 billion – but it foresees a big rebound in 2017, with a spending increase of 4.2 percent, to $304.9 billion. “When growth does re-accelerate, companies must be ready with the newest technologies, the most productive workforce and the critical customer relationships necessary to take full advantage,” said GBTA Executive Director Michael McCormick. The U.S. has been lagging behind worldwide growth levels, which posted a 5 percent spending gain in 2015, GBTA said; worldwide, global business travel spending is expected to increase by 5.8 percent annually for the next five years, to a total of $1.6 trillion in 2020. Last year, GBTA said, China surpassed the U.S. in the rankings, with business travel spending of $291.2 billion vs. $289.8 billion for the U.S. The latest quarterly report on business travelers’ spending habits from expense tracking giant Certify came with a separate supplement that spells out the boom in business for ride-sharing apps at the expense of traditional ground transportation services. While Uber continues to dominate the new ride-sharing business, the report sees Lyft moving into a stronger second place in the months ahead. In just two years, Certify said, the new ride-sharing segment’s portion of business travelers’ ground transportation spending has soared from just 8 percent in Q1 of 2014 to 46 percent in the most recent quarter. Over the same two-year period, the share for traditional taxis has fallen from 37 to 14 percent, while rental cars’ share declined from 55 to 40 percent. In the first quarter of this year, Certify said, Uber captured 43 percent of all ground service rides, but it noted that Lyft is showing signs of a surge. 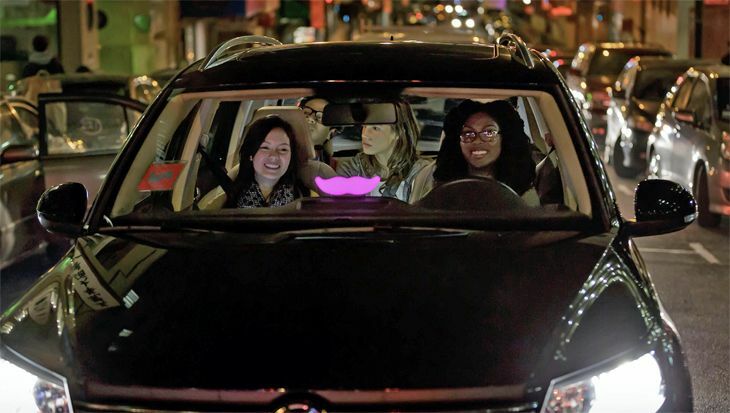 From Q4 of 2015 to Q1 of this year, Certify said, Lyft showed a 44 percent jump in business travel transactions. Ready to give Lyft a try? Use this link to get $50 in free ride credit! “We anticipate Lyft will become a bigger player in the business travel market in 2016,” Certify said, citing its recent closing of $1 billion in new investment capital, which included $500 million from General Motors. 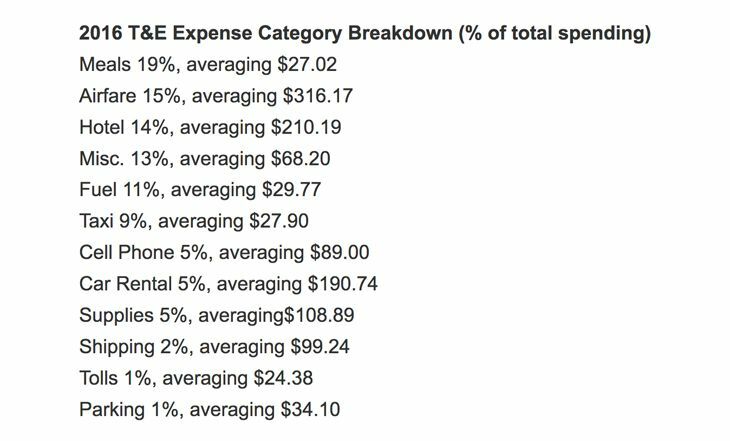 Every year, the trade publication Business Travel News (BTN) conducts a comprehensive study of the total daily costs that road warriors pay in various U.S. and foreign cities. And for the third year in a row, San Francisco took the top honors in the U.S. 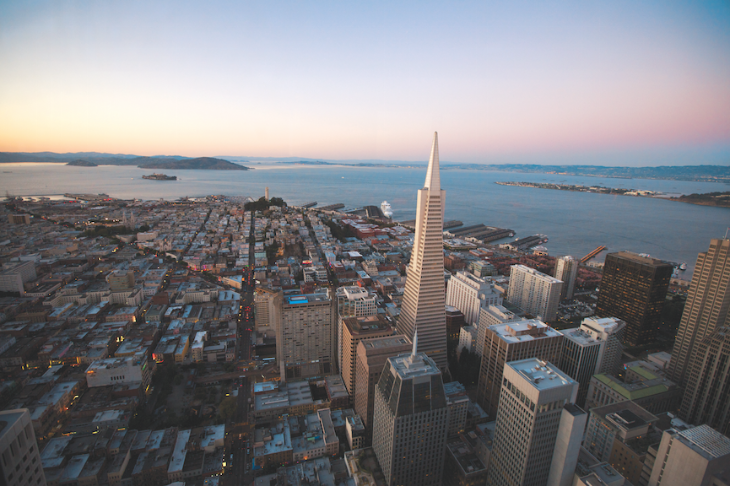 Whether it’s an honor is questionable, however: BTN said that in 2015, the City by the Bay remained the most expensive destination in the nation for business travel, with an average daily cost of $547.34 for a hotel room, a rental car and meals. That’s an increase of 7.4 percent from 2014, and it beat out New York ($523.05) and Boston ($502.69), which ranked second and third. Here’s a link to the full results of the study. BTN said the average amount paid for a San Francisco hotel stay in 2015 was $370.78 per night, including $52.36 in sales tax, occupancy tax and surcharges – an increase of 9.6 percent over 2014. In some cities, the year-over-year increases in average hotel costs paid by business travelers were quite substantial; e.g., BTN said the rate of increase was 22.4 percent in Detroit, 18.2 percent in San Jose, 15.7 percent in Los Angeles, 16 percent in Las Vegas, 14.3 percent in Boston and 14 percent in Seattle. 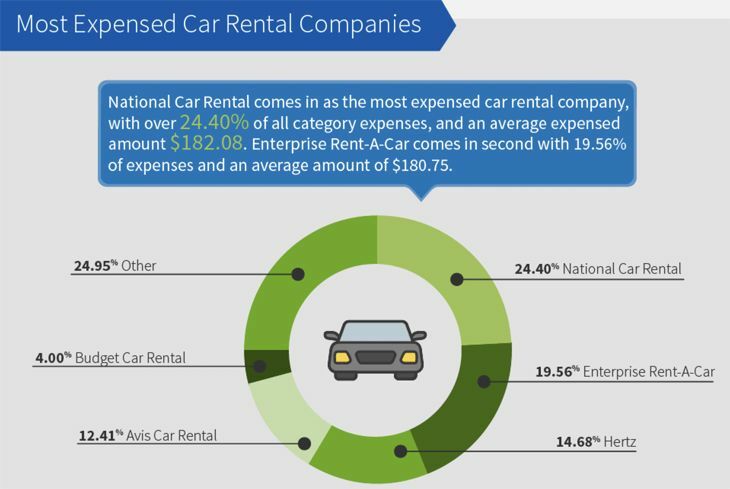 One of the interesting things about the detailed breakdowns of costs for hotels and rental cars is the fact that the BTN study separates out the level of taxes and fees, which can be incredibly high. For instance, it said that car rentals in San Francisco and Santa Barbara carried taxes and fees that averaged more than 50 percent of the actual rental rate; in some cities (Boston and Little Rock), that figure topped 60 percent. The study did not examine the posted rates of hotels or rental car companies; instead, it looked at the actual average daily rate paid by business travelers from January through November, collected from a leading global corporate travel agency. 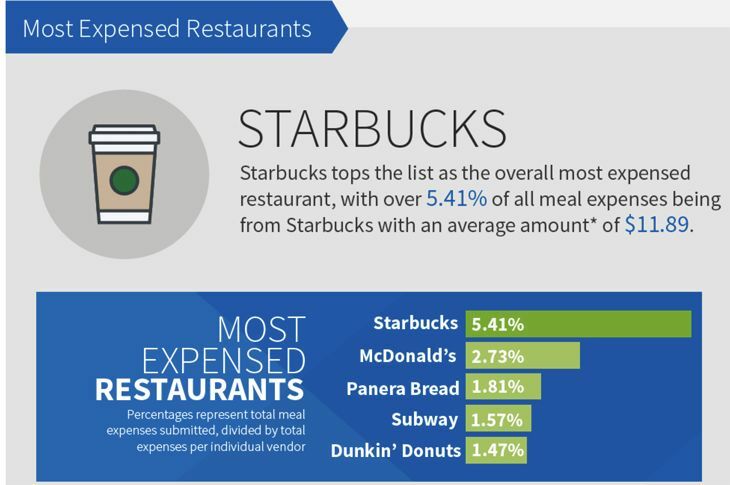 Dining prices were gathered through a survey of restaurants in each city. BTN said that the overall average daily cost for business travel in the top 100 U.S. cities during 2015 rose 3.9 percent over the previous year, to $318.80. 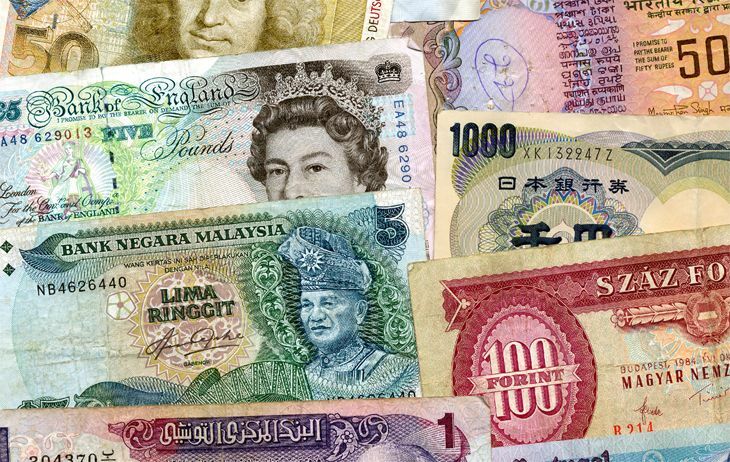 It found a different trend overseas, noting that in 13 of the 19 non-U.S. Western Hemisphere cities covered in the study, the average per diem dropped by double digit percentages. And in the 59 cities covered in Europe, the Middle East and Africa, the average per diem dropped from $362 in 2014 to $323 last year. The most expensive city in Europe, the Middle East and Africa was London, with an average per diem for hotel, rental car and meals of $554. Air fares worldwide are going down – but just a little. With fuel prices crashing, you’d think air fares would follow suit. And hotel prices just keep going up. What’s behind the relatively high and increasing levels of business travel costs? One word: demand. Travel demand is booming, according to a pair of new reports – and that means airlines and hoteliers have little incentive to use price reductions as a way to stimulate business. The International Air Transport Association – a trade group for the world’s airlines – said that global demand for air travel in 2015 jumped 6.5 percent over the previous year, a result that it said was the strongest since the world started pulling out of the Global Financial Crisis in 2010; that number was also well above the industry’s 10-year average growth rate of 5.5 percent. IATA noted that after adjustments for the stronger U.S. dollar, worldwide air fares dropped by about 5 percent last year from 2014. Take our Twitter poll about tipping Uber or Lyft drivers! Business people know that when demand outpaces supply, it puts upward pressure on prices. And that’s just what happened in the airline industry: While demand was up 6.5 percent, the number of available seat-miles operated by the world’s airlines last year rose only 5.6 percent over 2014. As a result, the industry’s load factor (i.e., percentage of seats filled) rose to a record level of 80 percent globally and to 85 percent in the US. Meanwhile, road warriors who aren’t planning to trim their travel schedule this year should probably budget a bit more for hotel stays: In its latest forecast on the U.S. lodging industry, PwC US – which tracks industry metrics — said the country’s strong economic fundamentals are pointing to continued heavy demand for hotel rooms. According to PwC’s analysis, the percentage of occupied rooms at U.S. hotels is expected to hit 65.7 percent this year. That’s up only two-tenths of a point from 2015, but it represents the highest occupancy rate the industry has seen since 1981. If demand is surging, what about supply? The number of hotel rooms in the country is expected to increase in 2016, but only by a meager 1.9 percent, PwC said. 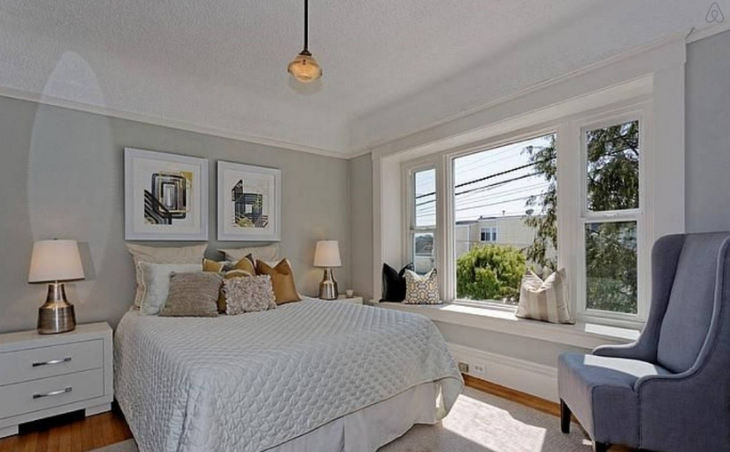 As a result, it is forecasting a 5.2 percent increase this year in average daily room rates. And that’s coming on top of a 4.4 percent increase in 2015 over the previous year. “We expect peak occupancy levels in select markets should give hotel operators the confidence to meaningfully increase average rates, although the strength of the US Dollar may have an impact, particularly on gateway markets,” PwC said. Please join the 100,000+ people who read TravelSkills every month! Sign up here for one email-per-day updates! That seat next to you on the plane is going to remain occupied…and you’ll be paying more for hotel and rental cars. U.S. business travel is likely to show steady growth over the next two years, and the cost of that travel will continue to increase as well according to the latest projection from the Global Business Travel Association Foundation in a study sponsored by Visa. GBTA’s latest Outlook report says that U.S. business travel spending is expected to increase by 3.2 percent this year, to $299.9 billion; and another 3.5 percent in 2017, to $310.4 billion. The group noted that price increases for business travel have been at “historically low levels” through 2015, and the increases over the next two years represent a return to normal trends. Business travel to international destinations “will continue to face challenges from poor global macroeconomic fundamentals,” GBTA said — especially to the Asia-Pacific region, Latin America, the Middle East and Africa. 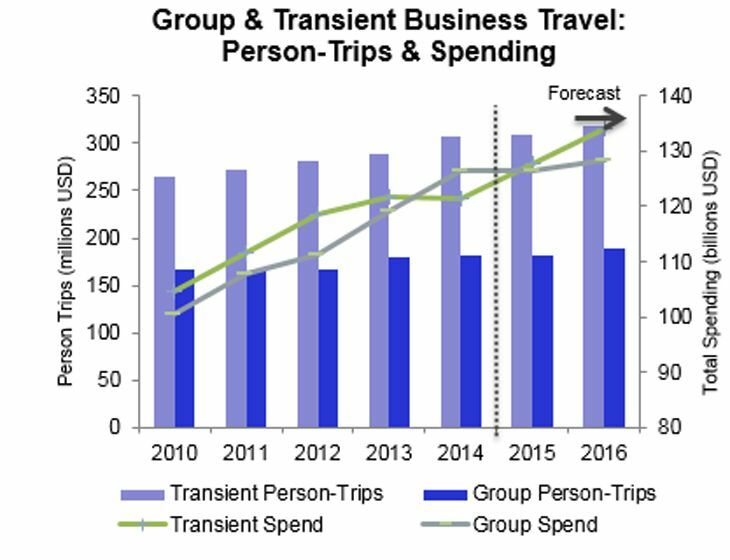 Average spending on group travel (conferences, trade shows, training, etc.) declined slightly last year, from $700 to $694 per trip, the group said, but the volume of group travel is expected to grow by 3 percent over the next two years. The volume of individual business trips only increased fractionally last year, GBTA said, but it is expected to grow by 2.9 percent this year. Would you like to travel on business even more than you do now? If that seems like a chilling prospect, you’re probably getting on in years, according to a new study by the Global Business Travel Association and American Express. The online survey of some 845 U.S. road warriors about various aspects of business travel found that Millennials (which it defines as those age 34 or younger) are almost twice as likely as Baby Boomers (age 55 and up) to want to add more trips to their schedules — by a rate of 45 percent to 26 percent. Thirty-six percent of the respondents in all age groups said they’d like to travel more on business, while only 16 percent wanted to stay in the home office more often. Almost half — 48 percent — said they were traveling just about the right amount. You might think that tech-savvy Millennials would be happy to meet with colleagues or clients via Skype or videoconferencing instead of flying somewhere to see them, but the research found that 57 percent of younger business travelers are big believers in face-to-face meetings. That’s not to say technology doesn’t affect other parts of their experience, though — e.g., 46 percent of Millennials said they use social media to meet up with friends on business trips, compared with only 17 percent of Baby Boomers. Asked about eight different aspects of the business travel experience, the respondents rated hotel stays as the most satisfying part of their trips (78 percent), while going through airport security was the most frustrating, garnering only a 45 percent positive rating — down 10 points from the previous quarter. Airplane travel ranked second from the bottom at 55 percent positive. Maybe because they’ve never known any other way of doing it, Millennials were less likely to have a problem with airport security than their older counterparts (35 percent vs. 59 percent for Baby Boomers and 56 percent for Gen Xers). One thing the generations seem to agree on is that they’d rather not have to put up with fellow passengers talking on their phones while in flight. Two-thirds of the survey respondents said they were opposed to this, vs. just 9 percent who thought it was a good idea. Are you a millennial traveler or boomer? Agree with these findings? Please leave your comments below! 8 Sometimes we wonder: Is business travel worth it? Big switcheroo: United moves all p.s. flights to Newark this weekend. Here’s why we think it makes sense. But not everyone agrees with us 🙂 See comments. Funny that United is not making any noise about this move at all…we’d expect fanfare, but nope. Thoughts? Can you guess where I grabbed this snap of a lovely airport day bed? Stay tuned! Avis adds a number of new 2016 models to its rental fleet. Uber tests streaming live sports to backseat tablets in four cities. American will explore a no-frills fare option next year. 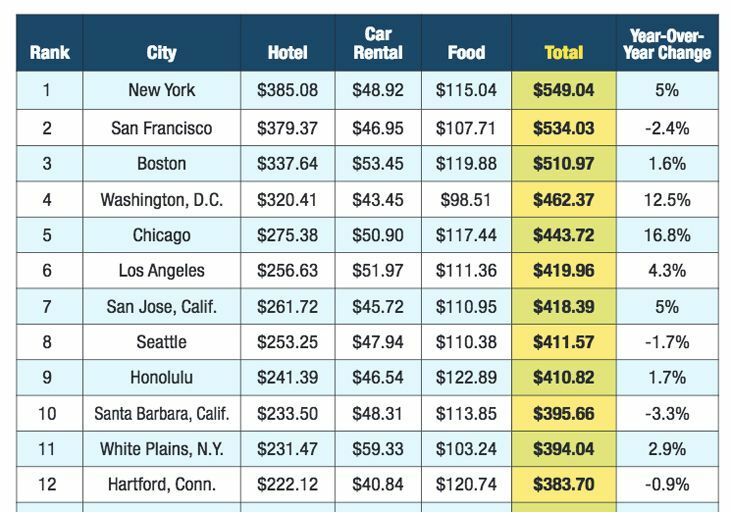 Study finds U.S. cities with highest and lowest rental car rates. UberX, Lyft are STILL not operating at LAX. Why? Which airlines are best/worst for paying claims for operational mishaps? Is business travel worth it? We squeeze on planes, meet with clients, miss our families, eat and drink too much and don’t sleep enough. But despite the hardships, our business trips pay us back. Big time. Aries Residence Suites, which provides accommodations in booming oil & gas regions, created an interesting infographic to show just how much value we derive from our peripatetic lives. Some interesting nuggets from the infographic below? Business trips comprise just 16% of all long distance trips in the US– but that’s a very lucrative 16%! 77% of business travelers are male. No surprise there! Our business trips throw off $35 billion in taxes! Airbnb surges with companies- but what about travelers? Airbnb, the sharing economy’s accommodations booking network, says it has seen a huge expansion of interest from companies that want to incorporate the site into their corporate travel programs. The site’s business travel suite gives member companies a variety of tools that help their travel departments incorporate Airbnb bookings into their systems, including information on traveler itineraries, financial reporting and centralized billing. In a pilot project under way in the San Francisco area, Airbnb has reportedly started testing a new kind of search capability that will allow business travelers to find specific properties offering the kinds of amenities and services they are likely to want, like Wi-Fi, laptop-friendly work spaces, 24-hour access to keys on check-in day, and certain minimum quality ratings. However, the consistency craved by business travelers is still lacking in Airbnb’s eclectic mix, which means that despite a lot of interest, standard hotel offerings remain the first choice among most. Have you tried Airbnb for a business trip yet? Would you? Please leave your comments below. With New York now officially on the way to starting a massive reconstruction of LaGuardia Airport, there is speculation that one of the major partners in that project — Delta Air Lines — might be expecting to get something in return, like an agreement by state officials to lift the 30-year-old “perimeter rule” that limits flights out of LGA to no more than 1,500 miles. If that happens, it would open the door to non-stop flights from LaGuardia to San Francisco, Los Angeles and Seattle, among other cities. 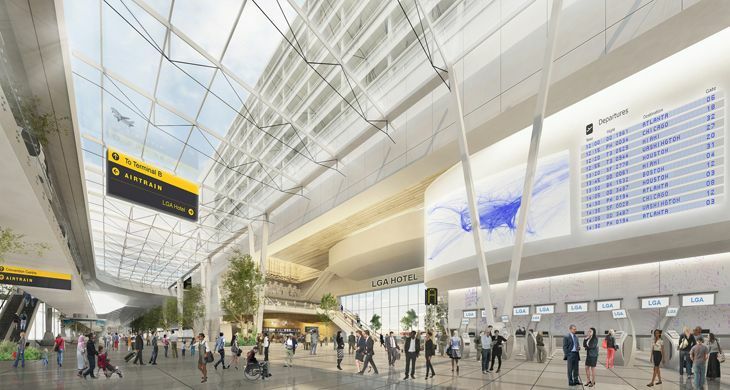 As the $4.3 billion redevelopment of LGA proceeds over the next several years, Delta will make a substantial investment in improving its own terminals there. Delta controls about 40 percent of the flights out of LaGuardia, while American has 28 percent. In the new design, Delta’s Terminals C and D would be linked to a new central arrivals hall as the separate parts of LaGuardia are combined into a single modernistic structure. In announcing the redevelopment plan, New York Governor Andrew Cuomo even said that without the participation of Delta, the project wouldn’t be happening. Even before the LaGuardia announcement, the Port Authority of New York and New Jersey had started to investigate whether its LGA perimeter rule should remain in effect; and now the thinking seems to be that with a brand new airport close to Manhattan, New York should also adopt a new outlook toward airline service there. In its letter, Delta noted that lifting the perimeter rule is “especially important for business travel.” The airline said more than a third of the corporate domestic travel spending in the New York area is to destinations outside the 1,500-mile limit. That percentage is even higher for some key industries, Delta said, like media/entertainment (55 percent) and banking/finance (38 percent). Delta’s letter cited the examples of Washington Reagan National’s partial lifting of its flight distance limits, citing studies showing that growth there “did not come at the expense of BWI or Dulles airports,” and that keeping a perimeter rule would “contribute to the underutilization of slots.” The airline also predicted similar benefits for Texas from the recent lifting of the Wright Amendment restrictions at Dallas Love Field. Although a recent analysis of business travelers’ expense reports showed that ride-sharing services — especially Uber — had overtaken taxis (but not rental cars) as the ground transportation option of choice, new research from the Global Business Travel Association comes to a different conclusion. Rather than polling business travelers, the GBTA study surveyed corporate travel managers, and it found that rental cars are the preferred choice for traveling employees’ ground transport, cited by 36 percent, followed by taxis (24 percent), chauffeur-driven cars (13 percent) and then ride-sharing services (11 percent). The risks of ride-sharing are what really concern companies, since “duty of care” is so important to them. That’s the legal principle that says companies can be held liable for things that happen to their employees while they’re traveling for the company. The survey also asked travel managers what was most important to them and their travelers in selecting a method of transportation. “Topping the list was traveler and vehicle safety, availability for a timely pick-up, and convenience of payments methods, with three-quarters of business travelers and eight in ten travel buyers calling these factors highly important,” GBTA said. 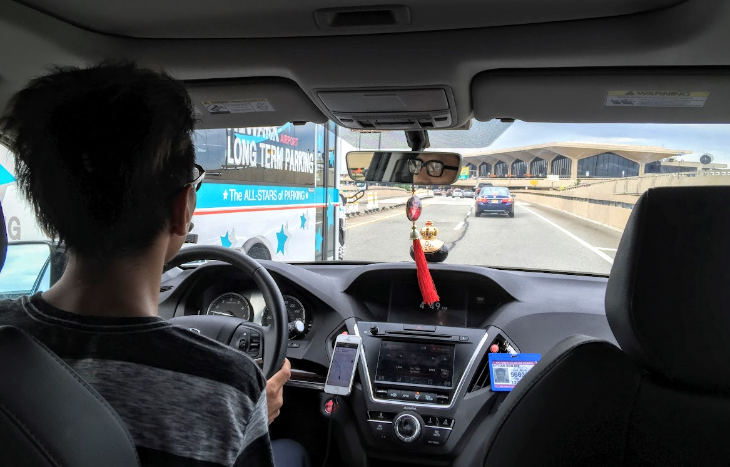 The travel managers said that about two-thirds of their travelers are not familiar with the safety-related aspects of ride-sharing services, like driver certification and training, and local regulations affecting the app-based companies. 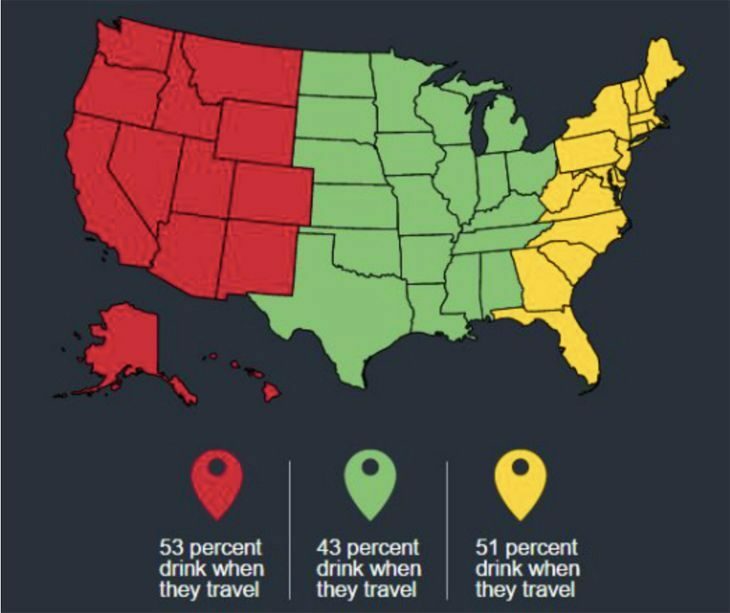 “Travel buyers (i.e., company travel managers) are more familiar with most of the duty of care aspects than business travelers, but less than a quarter are very familiar with all of them, showing education is necessary to inform them of the differences between ground transportation methods,” GBTA said. NOTE: Be sure to click here to see all recent TravelSkills posts about: Avoiding long customs & immigration lines + Fingerprint as boarding pass? + Hotel rate shocker + More! Business travel hot spots – or not? While business travel worldwide continues to show a steady recovery from the dark days of the great Recession, some countries are emerging as “hot spots” where prices will increase more than in others. That’s the conclusion from the new 2016 Global Business Travel Price Outlook issued by the Global Business Travel Association Foundation and Carlson Wagonlit Travel. It said that air travel costs will remain mostly flat next year — increases of one percent or less — except in six nations where it sees “increased business travel demand…driving significant air price increases.” Those countries are India, China, Colombia, Mexico, Singapore and Australia, where air fares are expected to grow by 2.6 to 3 percent, the study said. The researchers said the same is not true of hotel rates, which are likely to show significant increases worldwide “because demand is overtaking supply in every major global region.” The study predicts hotel price increases of 4.3 percent in North America next year, driven by heightened business activity in the Bay Area, Los Angeles and other major cities. Hotel rates are likely to grow by 3.7 percent in Latin America and 3 percent in Asia Pacific nations, but only 1.8 percent in Europe, the Middle East and Africa, GBTA said. The full report is available free through the GBTA website. 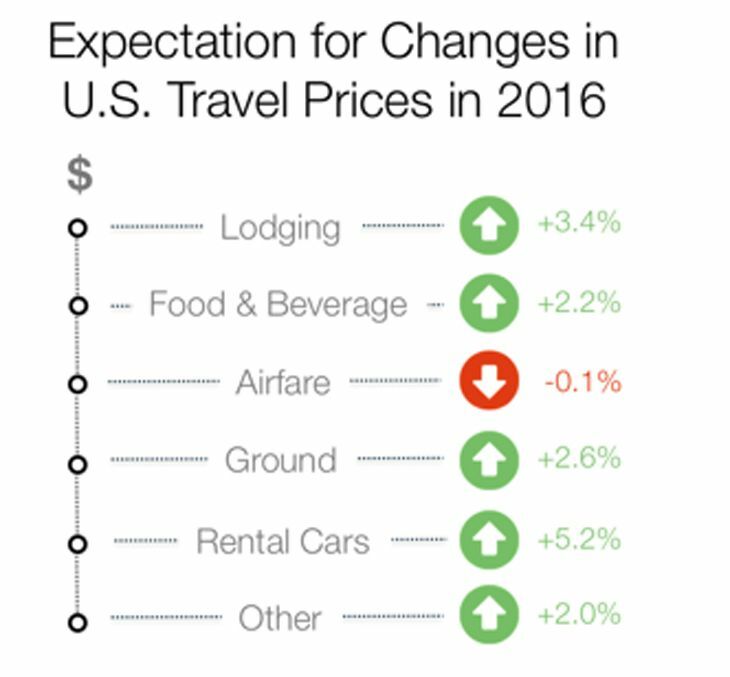 GBTA also suggested on its blog that in looking at the U.S. data, the highest projected hotel price increases for 2016 appear to be in cities where the “tech and entertainment industries” are dominant — e.g. 12 percent in San Jose, 8.8 percent in San Francisco, 7.8 percent in Los Angeles — while cities with a wider or more traditional business base will see hotel rates “barely keeping pace with inflation” — such as a projected 1.0 percent increase in New York and 2.0 percent in Washington. That may be, but in considering only the demand side of the equation, GBTA is neglecting the other big driver of price changes: Room supply. The number of available hotel rooms is notoriously tight in San Francisco, which has seen prices spike in the past couple of years; and it has expanded considerably in New York in recent years with a large number of hotel openings. NOTE: Be sure to click here to see all recent TravelSkills posts about: Avoiding long customs & immigration lines + UberX, Lyft at LAX + The big Delta upsell+ ATMs are out + More! Business travelers currently account for a small percentage of accommodations rental site Airbnb’s customer base, but the company has started testing a new tactic aimed at boosting those numbers substantially. 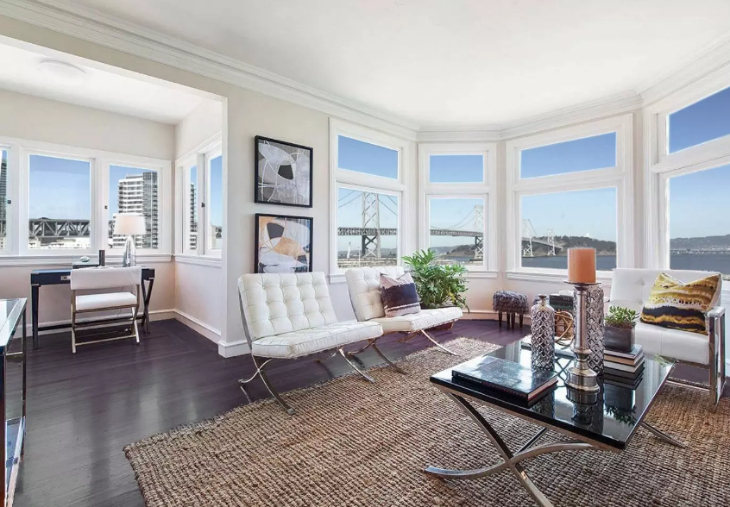 The tech website Tnooz reports that Airbnb has a pilot project underway in the San Francisco Bay Area that lets business travelers find member properties tailored to meet their special needs. By pre-sorting its member properties in a given area, the site will help road warriors find appropriate lodging with a minimum of search time. Although the program isn’t public yet, Tnooz displayed a list of standards Airbnb properties are expected to meet in order to qualify as a business-ready listing. It includes things like 24-hour access to keys on check-in day, Wi-Fi, laptop-friendly work spaces, coffee/tea, and more, as well as a minimum 60 percent level of five-star ratings for cleanliness, accuracy of listing, and overall user reviews. Airbnb last year formed a link with corporate expense reporting giant Concur so that business travelers could use the latter’s booking tools to reserve member properties. By room count, Airbnb is already well ahead of the largest hotel companies, and its growing accommodations-sharing business continues to draw some regulatory flack in certain cities. Have you used Airbnb yet? How would you rate the experience? Please leave your comments below. NOTE: Be sure to click here to see all recent TravelSkills posts about: Upgrades on United + TripAdvsior punked + Hotel resort fees okayed + 80,000 Marriott points + More! Do you need travel insurance? Probably! Start your search for the right plan at InsureMyTrip.com! ATMs, cash are out for travelers. What’s in? There’s an interesting story this week in the Minneapolis Star Tribune about how Minneapolis-St. Paul Airport is having trouble finding banks that want to provide ATMs for the travelers there. It seems that U.S. Bank, which had provided most of the ATMs at MSP, didn’t want to renew a long-term contract because it was losing too much money on the devices. And that got us thinking: Do frequent travelers really need to carry cash any more? For years, companies have been urging employees to charge as many of their travel expenses as possible on corporate credit cards for ease of expense reporting and reimbursing. (Otherwise, business travelers are always eager to rack up charges on their personal airline or hotel-affiliated credit cards to top off their mileage/points.) And now some companies are starting to integrate Bitcoin transactions into their plans and policies as well. For smaller transactions, plenty of new payment options are now in use. Summoning an Uber ride? Payment (including tip) is handled entirely in the app. Got a new iPhone or Apple Watch? Apple Pay eliminates the need to carry credit cards with you, much less cash. And Apple Pay has spawned a new generation of e-pay imitators. The deployment of Bluetooth technology can make payment for all kinds of things, including local transportation systems, as easy as holding your wallet near a reader device. About the only place it would be tough to leave a tip in local currency would be the hotel bellman…but I’m sure someone will figure out a way to do that with a smart phone one day soon. A report on CNN last month noted that Europe is well ahead of the U.S. in transitioning to a cashless society. It said residents of the Scandinavian countries of Sweden, Denmark and Norway use cash for fewer than six percent of all payments, vs. 47 percent in the U.S.
What’s your story, readers? When you travel, what do you still pay for with cash? Do you have any worries or security concerns about traveling completely cashless with the help of new technologies? Post comments below. NOTE: Be sure to click here to see all recent TravelSkills posts about: Upgrades on United + TripAdvsior punked + Hotel resort fees okayed + Pay to join loyalty programs? + More! Today United launched its first “fully refreshed” Boeing 757 P.S. 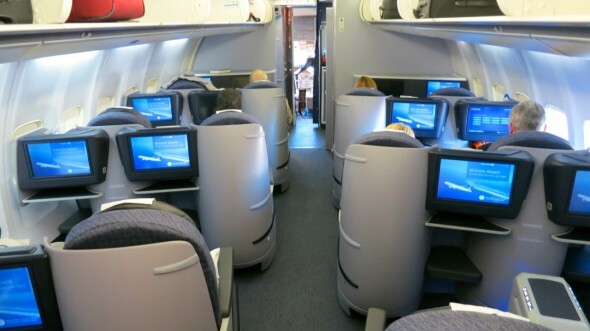 (Premium Service) class flight between Los Angeles LAX and New York JFK. The newly refurbished plane could appear on the San Francisco-JFK run as soon as this week. United says that there is no way to choose a newly configured flight just yet– but by June, seatmaps on its website will be updated to show which flights are new…or not. United anticipates launching more reconfigured aircraft into service in June. Until then, most flights on these routes will offer the traditional p.s. service. United expects to reconfigure the entire p.s. fleet by the end of the year. Until the project is complete, the airline will operate these flights with a mix of aircraft. The fully refreshed interior offers 28 flat-bed business class seats, replacing the 12 angled lie-flat and 26 reclining seats in the premium cabins on the traditional p.s. fleet. 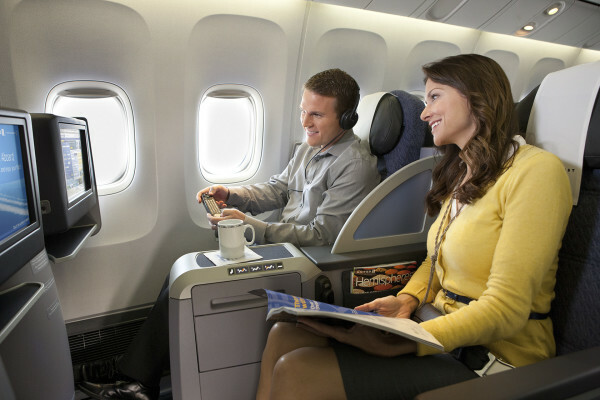 The new configuration also features 48 extra-legroom Economy Plus seats and 66 seats in United Economy. In the older aircraft, all economy seats were Economy Plus– this means that coach travelers without status will have to pony up cash or miles to get into the roomier seats. Are YOU signed up for BAT updates? If not, why not? Email in the upper right column, please! New Seats:In business class, 180-degree flat-bed seats, which offer up to 6’4″ of sleeping space and more storage. Inflight Entertainment: Access to personal on-demand entertainment featuring a newly designed interactive touchscreen and more than 150 hours of programming. 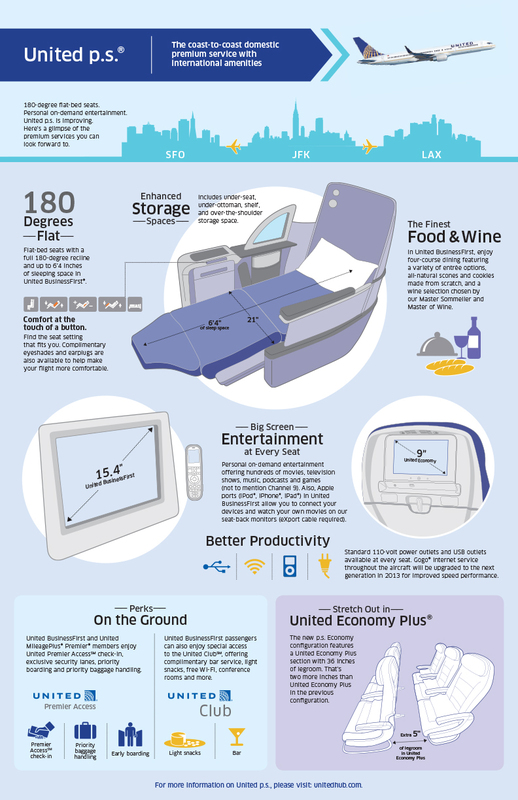 Individual monitors are 15.4″ in business classand 9″ in United Economy. Inflight Dining: New dining optionsand wine selections recommended by Doug Frost, United’s Master Sommelier. Inflight Connectivity: Gogo inflight Internet service. The aircraft also features power outlets and USB ports in every seat. Are YOU signed up for TravelSkills? If not, why not? Subscribe to TravelSkills via e-mail! Let’s face it, Twitter can be overwhelming for time-pressed business travelers. Who has the time to sort through the millions of #travel-related tweets? Finding truly useful business travel information can be as tough as finding that free drink coupon at the bottom of your carry-on bag. To help you out, here is a list of those I feel are the top Tweeters when it comes to business travel. As matter of fact, since no one else has done it yet, I hereby announce the first Best Business Travel Twitter Awards—the BBTTs! Be sure to follow these road warriors, or add them to your lists! @adelmantravel – Social-media savvy corporate travel agency Adelman Travel does a great job of posting important biz travel headlines every day. @ausbt – The Australian Business Traveller tweets from down under with news and advice that that doesn’t just apply to Australians. @barbdelollis – It’s smart to follow USA Today’s super-connected hotel blogger Barbara Delollis, who keeps us up to date with what’s hot and what’s not in at hotels—every business traveler’s home away from home on the road. @cjmcginnis – That’s me. Having covered the business travel beat since 1991, I’ve developed a good nose for what’s important to frequent travelers, and provide links to top travel news as well as my posts on BBC.com, SFgate and elsewhere. @econbiztravel – Official postings from Gulliver, The Economist’s excellent business travel blog—a good mix of US and European coverage. @frequentlyflyin – The feed from LA-based Darren Booth, who is CNBC’s Road Warrior editor, and also writes the FrequentlyFlying.com blog. 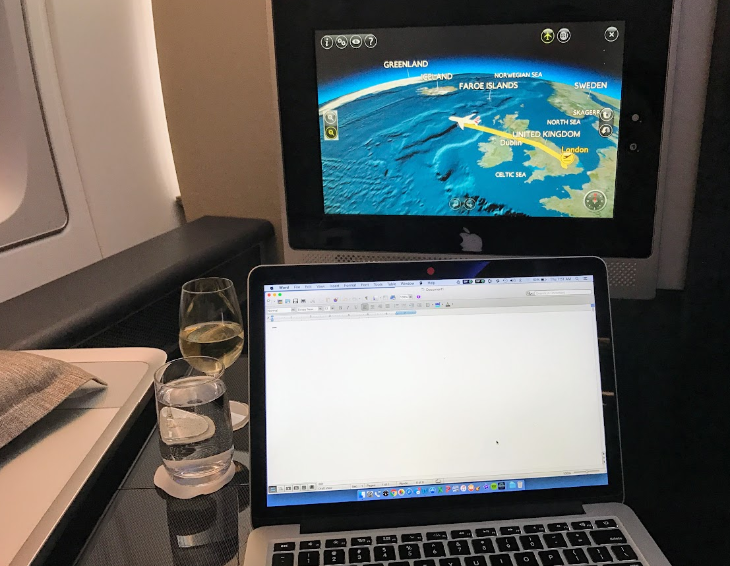 @garyleff – The prolific Washington, DC-based Gary Leff writes the popular View From the Wing blog, and primarily tweets news and strategies for managing loyalty points. @globetrotscott – New York-based Scott Mayerowitz is the airline reporter for the Associated Press, and frequently breaks important business travel news with his tweets. @johnnyjet – LA-based John DiScala is the travel industry’s social media master, and supplies a steady stream of useful links and updates from his frequent jaunts around the world. @sean_oneill – Travel techies should follow London-based Sean O’Neill, who covers travel tech for BBC.com and Tnooz. @skiftnews – Skift.com is a slick and sophisticated new travel news site that’s taken the industry by storm, and its twitter feed provides an excellent, frequently updated stream of travel industry intelligence that leans heavily in the direction of business travel. @smartwomentrav – Don’t let her twitter handle fool you—Orlando-based author and blogger Carol Margolis tweets a helpful stream of business travel “pearls of wisdom” that apply to both sexes. 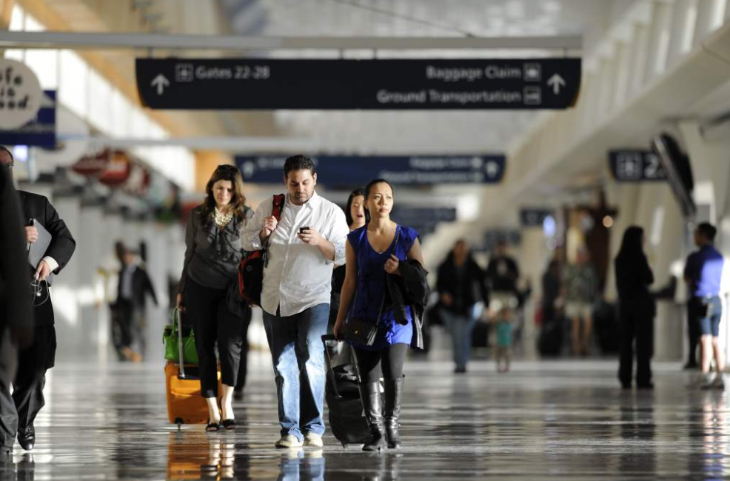 @stuckatairport – Business travelers spend as much time in airports as they do on planes. If there’s something going on at an airport in the US or around the world, blogger Harriet Baskas is one of the first to know about it…and tweet about it. @thepointsguy – I get dizzy watching Miami-based Brian Kelly, aka The Points Guy, masterfully keep up with the frequent changes in airline, hotel and credit card programs, and then tweet out smart strategies for earning and burning. @todayinthesky – Washington, DC-based Ben Mutzabaugh writes USA Today’s popular Today in the Sky blog, and is frequently the first to know… and tweet… important airline industry news. @travelfoodguy – Vermont-based bon vivant Larry Olmsted provides business travelers a helpful stream of all-important dining, golf and travel advice, along with links to his work on Forbes.com, Cigar Aficionado and USA Today. Who did I miss? 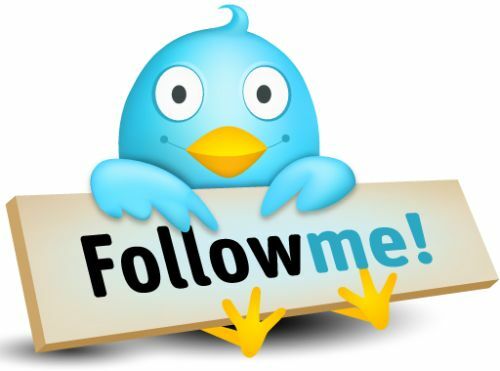 Please add your favorite business travel tweeters below! 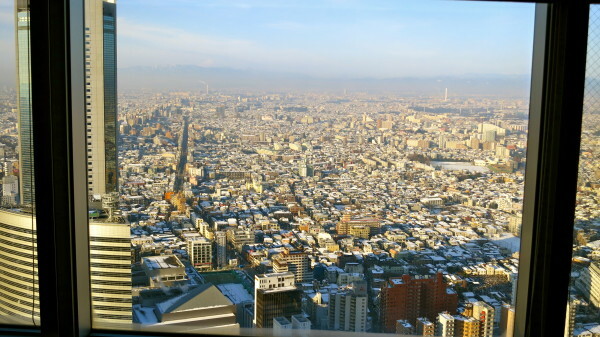 (TOKYO, JAPAN) Here I sit at the Park Hyatt, Tokyo (the Lost in Translation hotel) watching the morning sun hit Mt Fuji, and watching the headlines and emails about the FAA’s grounding of the Boeing 787 Dreamliner spew forth from my laptop. 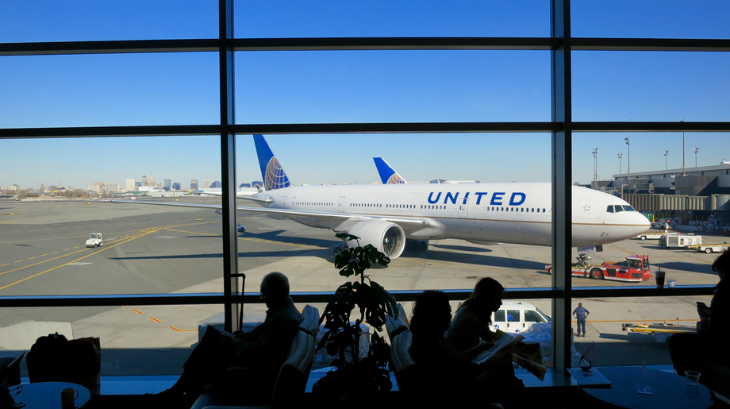 As you may know from previous posts, I flew to Tokyo last Saturday aboard one of the first Dreamliner flights to depart San Jose International airport. While there were operational issues with the aircraft at that time, passengers I spoke with felt confident about flying the brand new 158-passenger bird across the Pacific. Our 10-hour flight to Tokyo was delightful and without incident. I was traveling with a group of travel media, and during our interviews with ANA executives on Tuesday, we were assured that these were “teething issues” that fell within the band of normalcy for any new aircraft. They were still very excited about the aircraft with plans to buy several more. While new at San Jose, ANA has been flying the 787 for a year and a half, with rave reviews from passengers, pilots and the media in general. We had heard US Transportation secretary Ray LaHood state a few days earlier that he’d feel confident flying on a 787. Then, on Wednesday morning here in Tokyo, we heard that a Dreamliner had made an emergency landing at an airport in western Japan, and that all passengers had been evacuated. Apparently, an indicator light told pilots that there was a battery issue, and that there was an unusual odor in the cockpit. After that incident, ANA immediately grounded its fleet of 17 Dreamliners and launched an investigation into the cause. At that time in the US, the FAA said that it was looking into the incident. 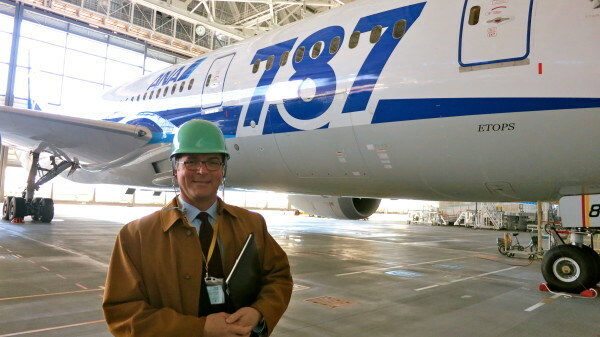 Half of our media group had reservations to fly out of Tokyo bound for San Jose on the 787 on Wednesday afternoon. However, thanks to the slower winter travel season and quick action on the part of ANA staff, there was enough room on Wednesday’s ANA flight to San Francisco to accommodate the group and they all got home safely. I was glad I had already booked my return trip to SFO on an ANA Boeing 777 (instead of the 787 into SJC) for later this week. Last night, I pondered what all this meant as I sat having a meal in the Park Hyatt’s New York Grill & Bar, thinking about Bill Murray and Scarlett Johansson in Lost in Translation drinking Suntory whiskey, listening to a “Sausalito”-like chanteuse croon while the Tokyo skyline twinkled 52 stories below. I had a great night’s sleep (almost no jet lag on this trip…maybe due to the 787’s new cabin pressurization … or the Park Hyatt’s comfy beds?) and awoke to another bombshell: The US Federal Aviation Administration had grounded the 787 until it could determine the cause of the incident. Here’s a list of what is swirling around in my head about this now. Conclusions will come later…. >First, I’m grateful to be safe and sound in a nice hotel in Tokyo, and not stuck at an airport due to a flight cancellation. I’m glad to have the chance to ride on the 787… and equally glad I have a reservation to get back to San Francisco an ANA 777. >It’s tough to speculate on what this means for ANA’s new 787 flights between Tokyo and San Jose. The 158-passenger Dreamliner is perfect for a “long, thin” route like Tokyo-San Jose. I think it’s unlikely that ANA will substitute another aircraft on the route—such as a Boeing 777 or 767 because they are simply too big—there is not enough demand in the South Bay to keep a 200-300 seat aircraft full. (American Airlines used to have a 777 on the route, but discontinued the flight in 2006.) So if the grounding of the 787 is short term, the outlook for the route should be okay… is it’s a long-term affair, the future of the route is cloudy. >ANA is handling cancellations on a day-to-day basis– for example, I’ve just learned that Friday’s flight between Tokyo and San Jose has been canceled, but no decision has been made for Saturday’s flight. On ANA alone, Dreamliner cancellations affect the plans of 4,800 passengers per day, according to a spokesperson. >The impact of the controversy is likely felt most acutely here in Japan– ANA has a fleet of 17 Dreamliners, most of which are used for domestic flying, so re-accommodating passengers is causing some pain. Japan Airlines has grounded seven 787s. In addition, the lithium ion batteries in question are made in Japan. It’s difficult to watch all this come down on the gentle, polite Japanese who feel deeply embarrassed and apologetic about the whole affair. >The current FAA grounding will affect flights on United’s 6 Dreamliners, however, none of them now fly into the Bay Area, so the local impact is minimal. United is the only US carrier now operating the plane. >For perspective, I think it’s important to look at a similar incident regarding the giant Airbus A380 last year. If you recall, serious structural and mechanical issues (cracks in wings and an engine fire) forced Australian authorities to ground the plane until remedies were in place. The grounding was temporary, and the A380 was quickly back in the skies. Hopefully, engineers will be able to find a similar fix for the Dreamliner’s lithium-ion batteries, which seem to be the cause of the jet’s most severe problems at the moment. >Even if the 787 gets back in the skies quickly, some business travelers will likely book away from 787 flights out of fear that future groundings or reliability issues could foul their travel plans. >The big question remains: Is this plane truly safe to fly? At this point, no one really knows. It’s going to be interesting to watch this pan out. I’m firmly in the “wait and see” category when it comes to the idea of booking flights on the 787 in the near future. What about you? How do you feel about the 787? Do you trust the airlines, manufacturers and government regulators to keep you safe? Please leave your comments below. Given a choice between a nonstop or a direct flight between SFO and New York, which one would you take? What if an option for a connecting flight was thrown into the mix? Your choice could have a big impact on the price, length and comfort of your journey. I’m frequently amazed at how many travel agents, airline employees, frequent business travelers and even fellow travel writers tend to think that direct and nonstop are interchangeable terms when referring to flights. They are not. 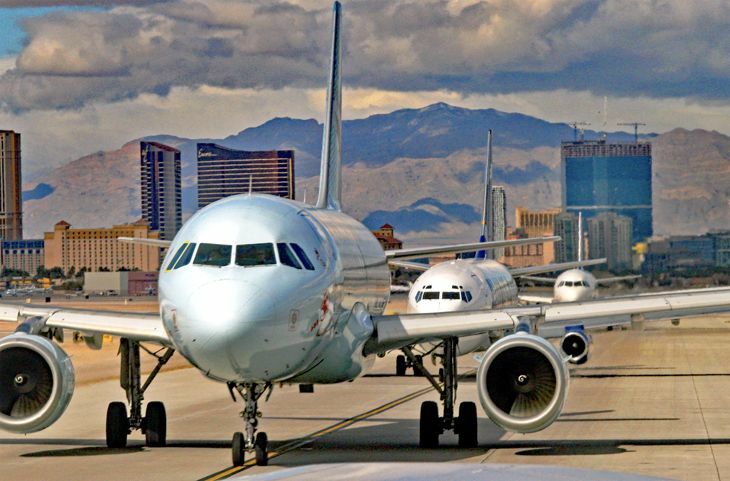 A nonstop flight is just what it says: a single flight between two airports with no stops. Business travelers favor nonstop flights because they are the fastest, but they are frequently the most expensive. While a direct flight might sound like a nonstop flight, it’s not. A direct flight makes at least one intermediate stop along the way to its final destination, but has only one flight number. For example, if you choose a direct flight between SFO and New York you’d fly on one plane the whole way to New York. But that plane would make a stop in, say, Chicago or Milwaukee or Atlanta, where it would drop off and pick up more passengers, like a bus. Due to these stops, direct flights can add an hour or more to your total travel time. I recently flew Southwest Airlines flight #1618 from Oakland to Phoenix for a meeting. My flight from Oakland to Phoenix was a nonstop. However, the plane continued on to St Louis. The passengers who stayed on the plane in Phoenix and continued flying to St Louis on the second leg of flight #1618 were on a direct flight. Often, direct flights are less expensive than nonstop flights, but not always. If you have a choice between a direct or a nonstop and the price is the same, take the nonstop! A connecting flight means it will take at least two different planes with two different flight numbers to reach your final destination. For example, a connecting flight from San Francisco to New York on United Airlines would mean flying from San Francisco to Denver, or Chicago, where you would then disembark and board another plane for another flight to New York. 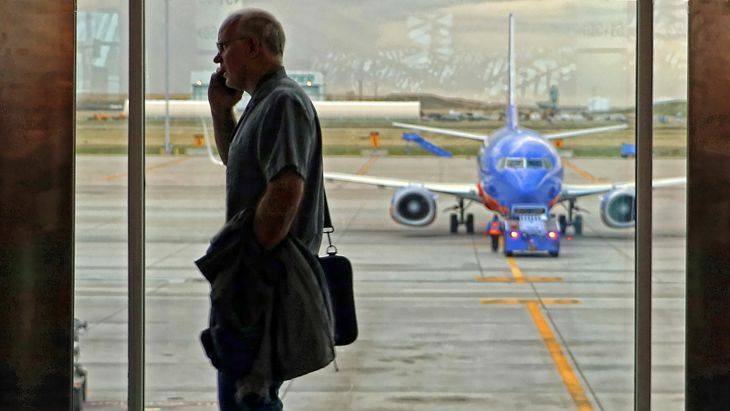 Connecting flights are almost always less expensive than nonstop flights, but they are not always the best option for travelers who place a premium on time. Why? First, you’ll have to schlep hand luggage on and off the plane multiple times in each direction. Connections often mean landing in one concourse, then having to take a train or a long walk to another concourse. When you take off and land, you double your chances of encountering delays due to weather or air traffic control. Connecting flights can also take significantly longer than direct or nonstop flights due to long layovers. For these reasons, connecting flights are always the least desirable in terms of convenience… but the most desirable in terms of price. Were you aware of the difference between direct and nonstop flights? What type of flight will you be taking next time? Be sure you know before you book! Welcome new readers! If this information was helpful to you, please subscribe to TravelSkills via e-mail— and tell your friends about it, too! For a limited period, San Francisco passengers will have the opportunity to experience spacious luxury onboard the world’s largest commercial aircraft, the Airbus A380 on flights to Asia. Between December 28, 2012 and March 24, 2013, Singapore Airlines will pop into town with daily “Pop-Up” A380 flights between San Francisco and Singapore via Hong Kong. Flip through this slideshow to see its famous Suites and the widest Business Class seats in the sky. SQ1 departs SFO at 10:50 pm and arrives in Hong Kong at 5:50 am two days later. Flight time is about 13 hours to Hong Kong, and with another 3.5 hours to Singapore, you’ll have plenty of time to soak up the luxury and explore the 1000+ onboard entertainment options. SQ2 arrives daily in SFO at 7:45 pm on the same day it departs from Singapore and Hong Kong. CNET surmises that all of this is eventually going to morph into an entire, recently patented, Apple travel ecosystem called iTravel. Subscribe to TravelSkills via e-mail! Op-Ed: Will you give Southwest a try? I bet not. Earlier this week, I wrote the following Op-Ed for the Atlanta Journal-Constitution. The newspaper asked me to write about what effect Southwest’s arrival in Atlanta would have on business travelers. My take? Most Atlanta business travelers are too heavily invested in SkyMiles and their “complex” relationship with Delta to give Southwest a try– so there won’t be that big of an effect. 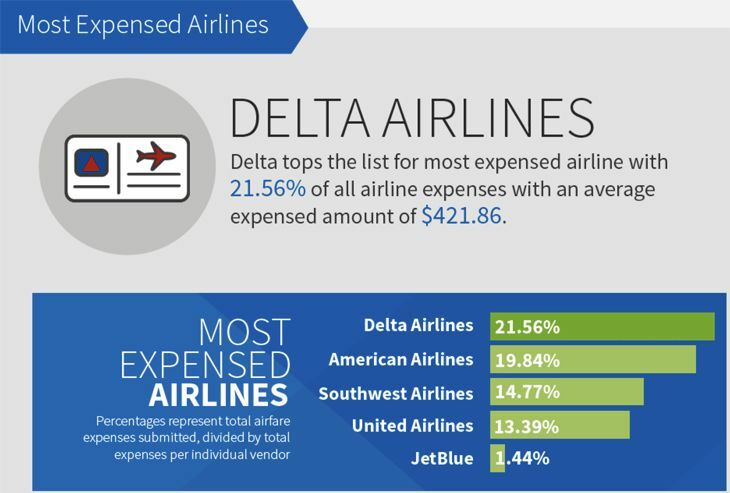 Even with the exciting entry of a respected airline like Southwest Airlines, most frequent business travelers in Atlanta will continue to fly Delta Air Lines despite their complex relationship with our hometown carrier. 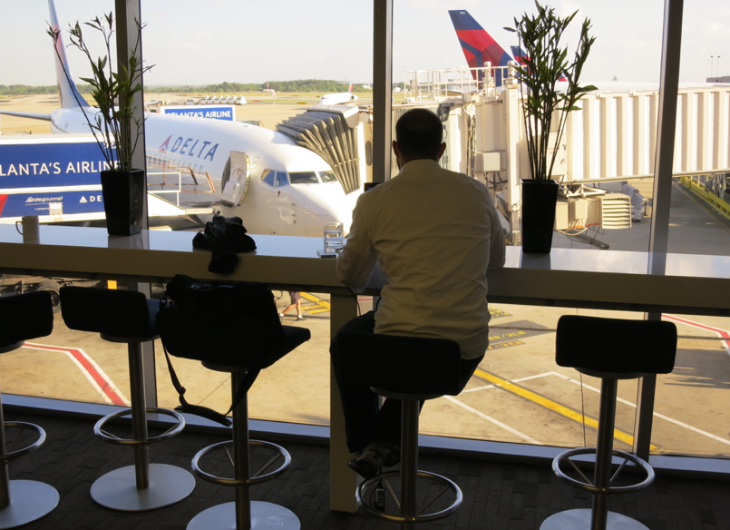 Atlanta business travelers love Delta for its deep southern roots. They appreciate being able to catch a Delta nonstop to just about every major city in the world, getting Porsche rides from the plane to the parking lot or relaxing in plush Sky Clubs. But most of all, they love Delta for its SkyMiles program, and the dream of “free” travel and special recognition. Despite whining about the dearth of upgrades and difficulty finding award seats, they keep going back for more—and in fact go out of their way to earn those SkyMiles that they love and loath. So for now, despite mixed feelings about Delta, frequent flyers in Atlanta will likely stick with it due to a mix of loyalty, inertia and fear of the unknown. 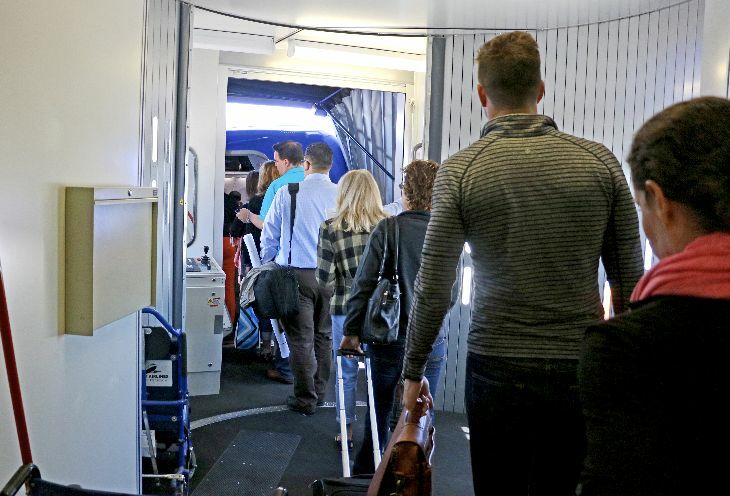 At the top of frequent flyers’ list of fears about Southwest is its so-called “cattle call” boarding process. Southwest does not allow advance seat selection. But those traveling on more expensive, less restricted tickets, elite level Rapid Rewards members and those who have paid an extra $10 “early bird” fee board first, and can lay claim to the best seats and overhead bin space. But frequent flyers like the security of being able to choose their seat ahead of time. The boarding process at Delta is familiar, yet frustrating in Atlanta since so many elite-level passengers can skip to the front of the line, which feels like a cattle call. But at least there is no uncertainty around where they’ll be sitting—and frequent travelers don’t like uncertainty. Then there’s the fear of getting on board a plane without wi-fi. While it’s aiming for fleet-wide wi-fi, Southwest has it on only 150 of 550 planes and makes no guarantees regarding availability. On the upside, wi-fi connections run a flat $5 per flight, regardless of flight length. But Atlanta-based business travelers have been spoiled by the availability of in-flight wi-fi on nearly 100% of Delta and AirTran flights. That certainty is increasingly important in our “always connected” business world. Business travelers have plenty of other fears about straying over to Southwest: They fear starting off at the bottom rung at Southwest’s Rapid Rewards program, which is based more on how much you spend than how many miles you fly. With Southwest’s intention of eliminating AirTran’s popular business class, they worry about losing the ability to upgrade (or afford) to fly at the front of the plane on long flights out west. Time-deprived executives will be irritated at the extra step of checking Southwest.com every time they want to do a complete fare comparison, since its fares are not listed anywhere else. But despite those fears, the fast-growing population of more independent business travelers who are entrepreneurs, freelancers or those who work for small and mid-sized companies will be the early adopters of Southwest. They are the ones for whom Delta’s $150 fee to change a ticket comes right out of their wallet, or shrinking per diem. (Southwest does not charge change fees.) They are the independent sales reps who must travel with a couple of suitcases of samples and don’t want to pay Delta’s $120 fee to check two bags roundtrip. (No bag fees on Southwest.) The ones who just want quick, dependable and cheap transportation and don’t care much about airport lounges, lie-flat seats to London or what type of metallic card is in their wallet. So Atlanta-based business travelers shouldn’t expect any major changes when Southwest arrives at Hartsfield-Jackson next week, especially those with an expense account to fall back on. 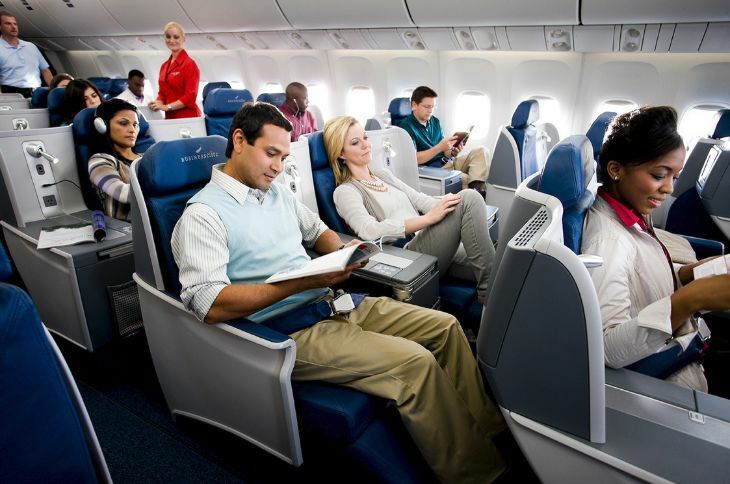 But if you’re an independent, budget-focused, or an up-and-comer without a big investment in Delta SkyMiles, you’ll find a fresh new option to consider on your next flight. Agree or disagree? Are you too invested in SkyMiles to give the new kid in town a go? Or will you welcome Southwest with open arms…and open wallet? Please leave your comments below! Gorgeous white marble and backlit Fabbian glass tiles make for a dramatic entrance at Cathay Pacific's new SFO lounge. International business and first class travelers departing for Hong Kong, Dubai or beyond can now cool their heels while awaiting flights at two gorgeous new lounges at SFO. 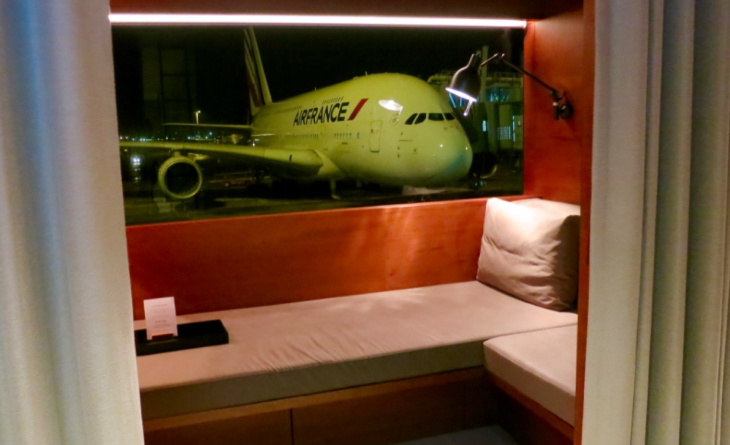 These perches are so plush that passengers may want to get to the airport early just to enjoy the surroundings and get a great pre-flight meal. In December, Cathay Pacific and Emirates opened new lounges at SFO’s international terminal. Both invited me out last month for a look around, and allowed me to take photos to share with readers. The gorgeous 5,500 sq ft Cathay Pacific lounge is located up an escalator just beyond the security screening area near most other airline lounges on south (A) side of the International Terminal. Prior to the opening of this lounge, Cathay Pacific passengers used facilities offered by Oneworld partner British Airways. Now they have a lounge all to themselves. The lounge’s minimalist design is based on Cathay’s flagship lounges at Hong Kong International– materials such as white italian marble, bamboo paneling and Fabbian crystal are the same. Another similarity: the chef-staffed noodle bar! The Emirates lounge is located about halfway down SFO’s south side international terminal corridor on the left hand side. First, business and Skywards elite passengers enter and check in, then descend into the enormous 9,500 sq. ft. lounge located one floor down– with direct access to the waiting B777– there is no need to exit the lounge to board the plane. Again, the design of this club should be familiar to Emirates flyers– the rich contemporary look (wood, leather, brass, earth tones, sprays of fresh flowers and plants) is nearly identical to Emirates’ 25 lounges in Dubai and around the world. Similar to the carrier’s main hub lounges in Dubai, passengers are tempted by a visually stunning, seemingly limitless smorgasbord of dining options designed to appeal to western, Indian, Asian and Arab palates. There’s even a Muslim prayer room– with it’s own foot-washing station. The big, bright Cathay lounge is open from 7:45 am until 11:50 am, and then again from 8:05 pm until midnight. The unique and popular Cathay Solus Chair is a specially built unit offering a private space to eat, work and relax. There are three unusually large shower suites, sheathed in marble and other unusual finishes like this white river stone tile. A large carrera marble communal table in the dining area. Cathay offers two flights per day from SFO to Hong Kong-- noon and midnight. SFO-HKG nonstops last about 14 hours. Now, let’s walk on down to the Emirates lounge…. 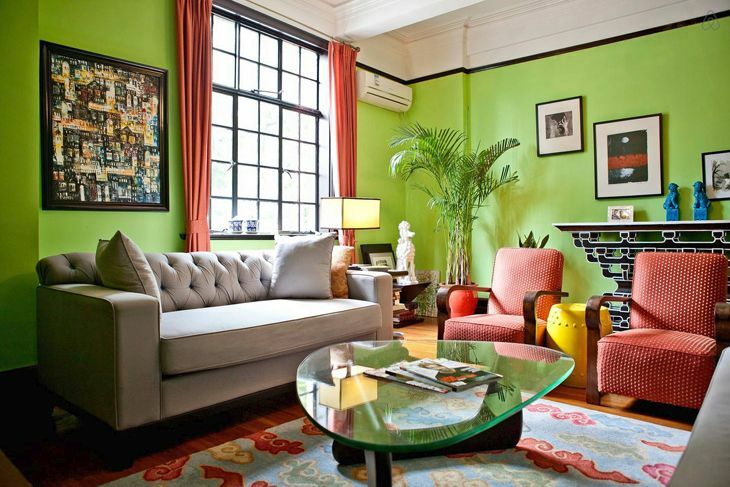 The enormous, light-filled lounge is filled with cozy seating nooks like this. Floor to ceiling windows look out onto the ramp and the waiting Emirates B777. There are several of Emirates signature Rolex wall clocks throughout the lounge. This is the foot washing station adjacent to the prayer room. Passengers get restaurant-style service at the largest private dining room at SFO. Foodies will delight in the array of gorgeous hot and cold options-- all labeled. Vegetarian options abound to appeal many travelers who travel through Dubai to get to India. Passengers can even get a steak! There's also a full bar, a fine wine selection, including champagne. Nice touch: Free wi-fi throughout the lounge. There is also a business center with several internet connected PCs.